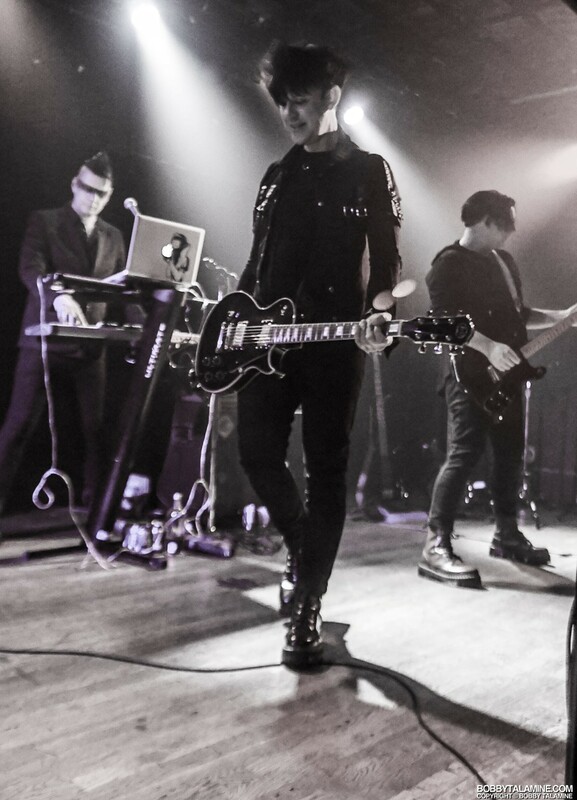 This show was sold out. 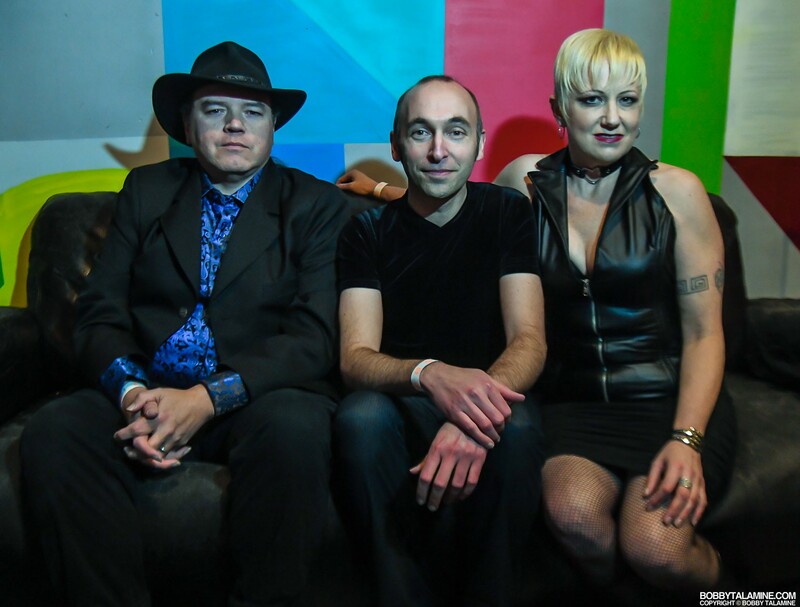 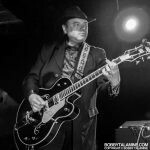 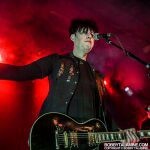 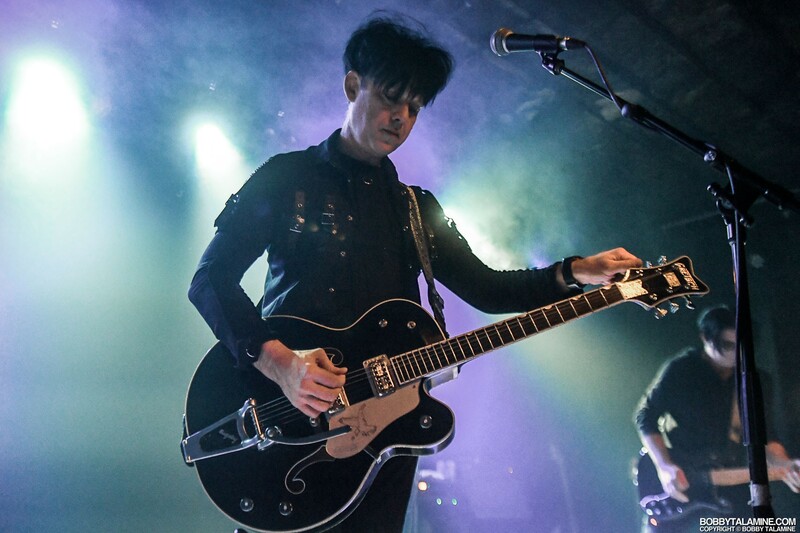 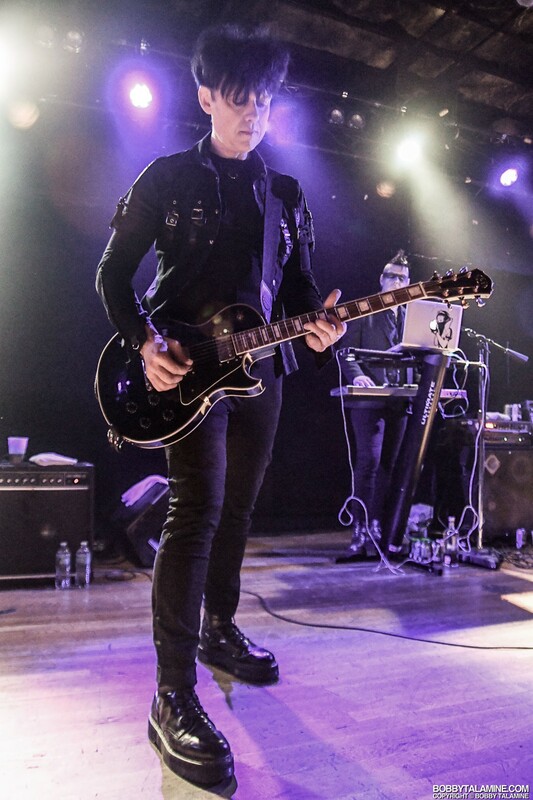 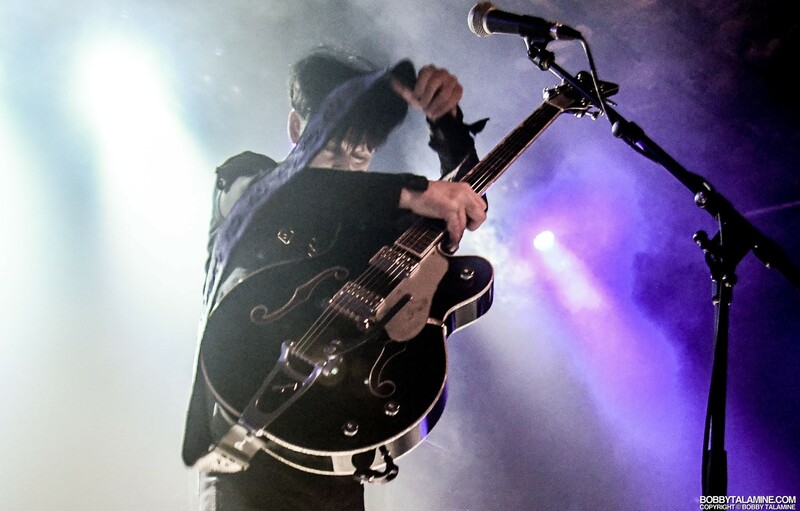 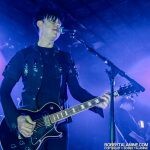 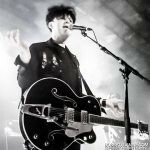 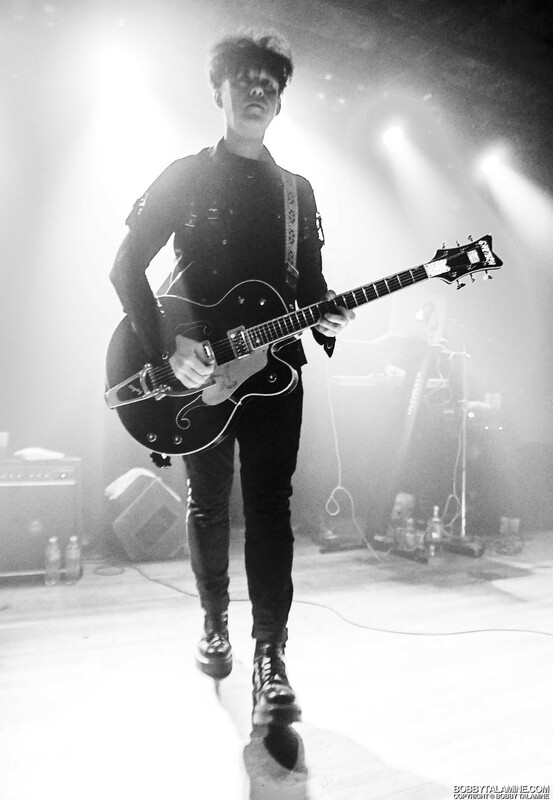 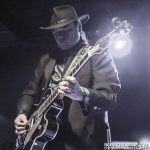 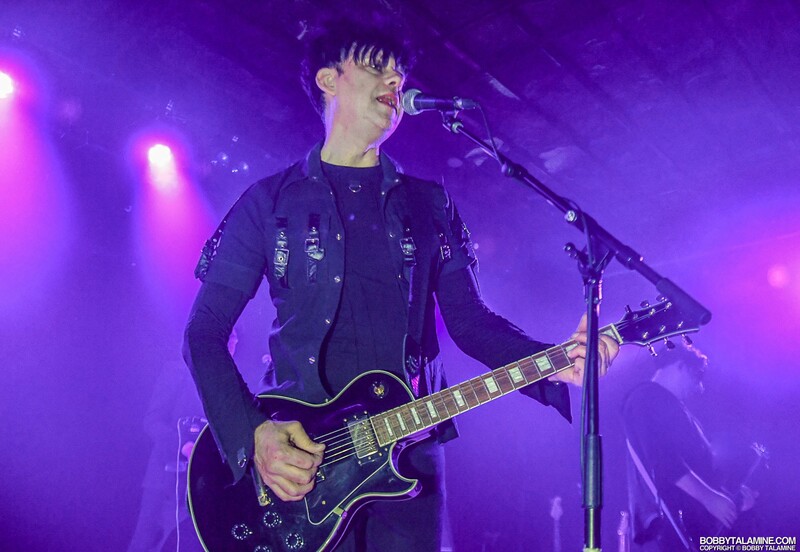 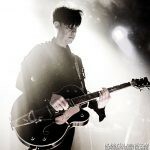 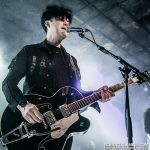 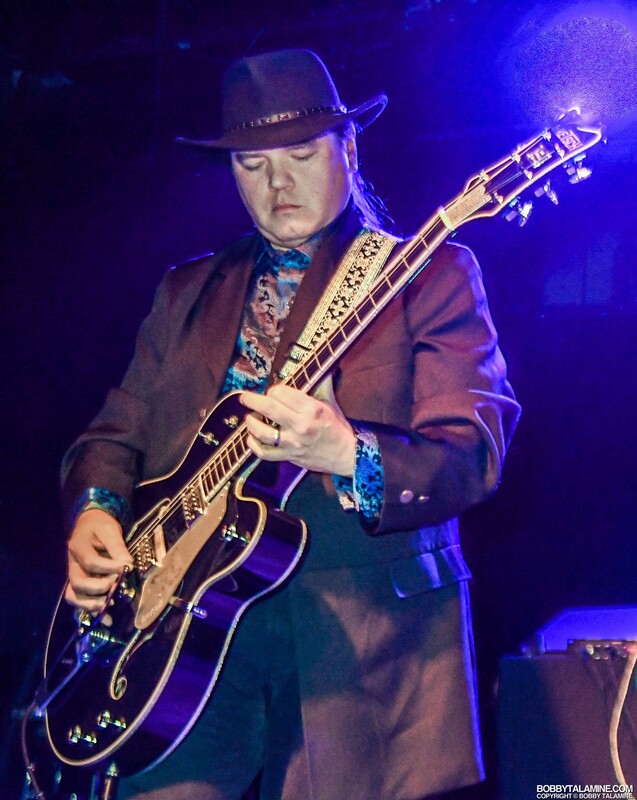 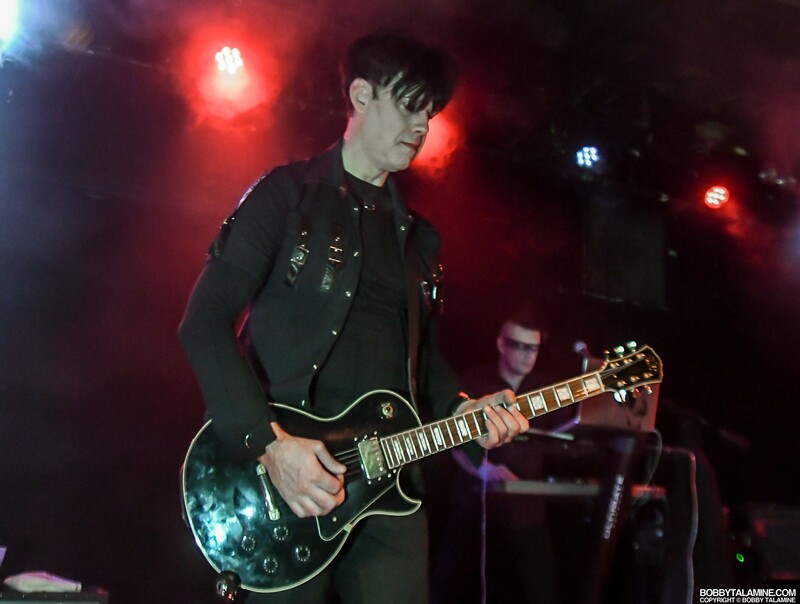 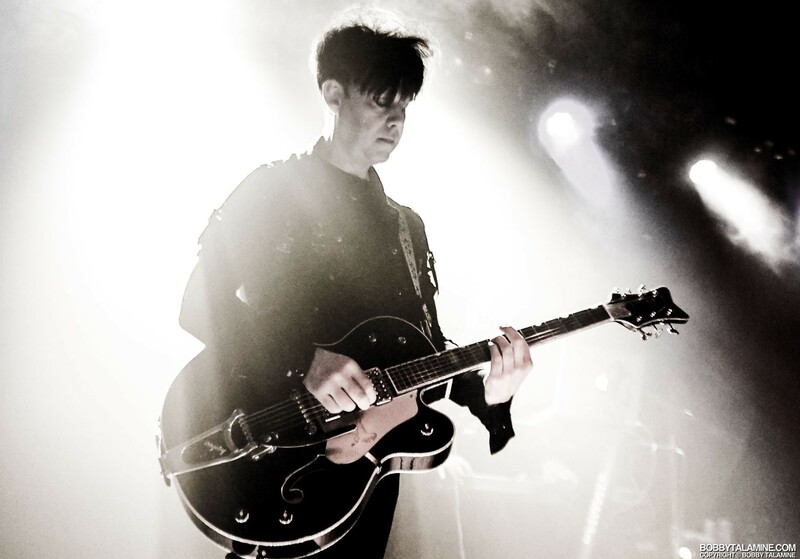 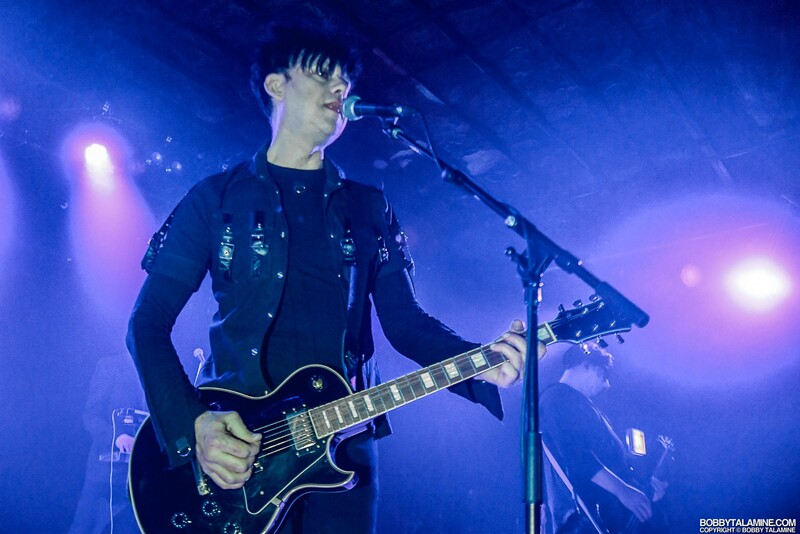 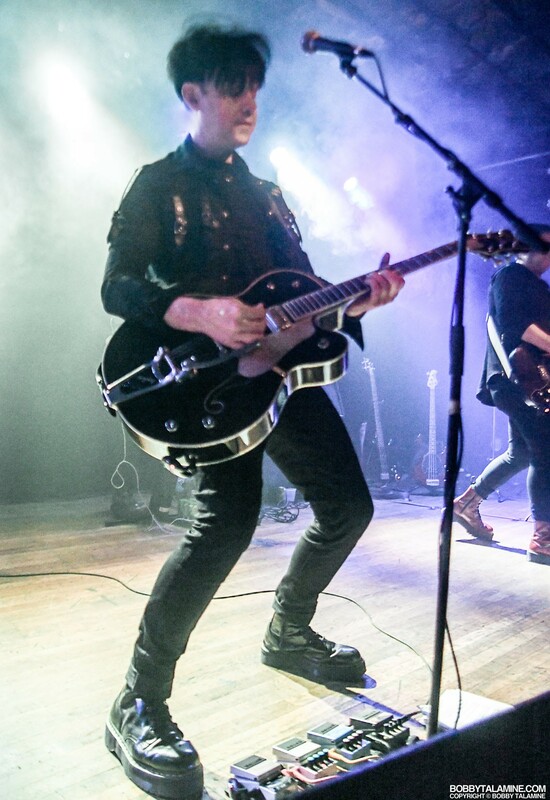 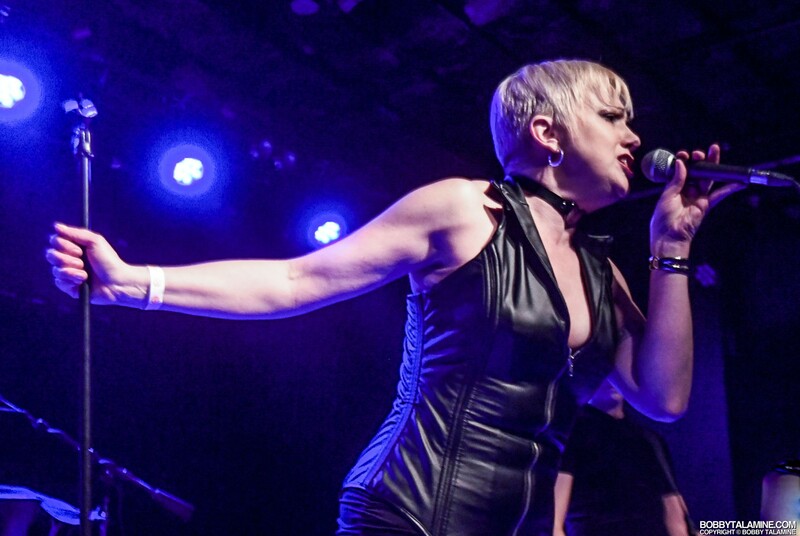 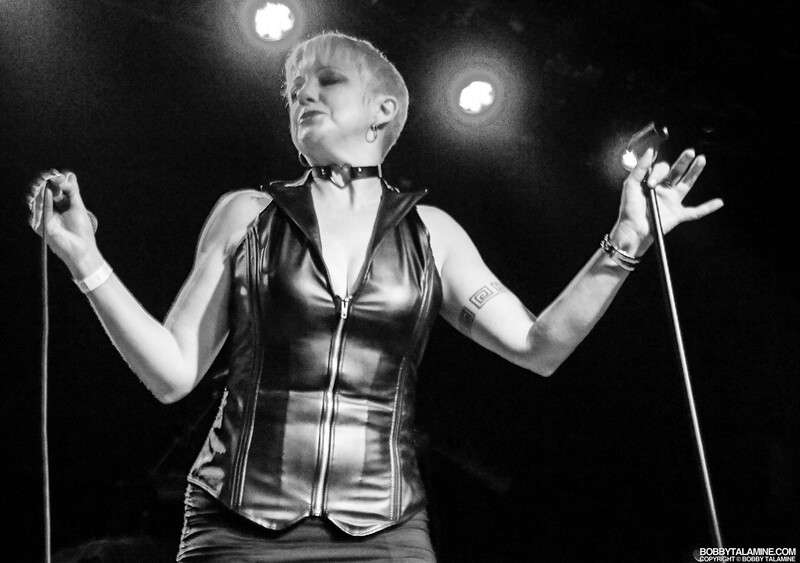 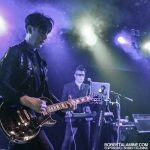 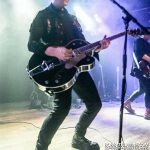 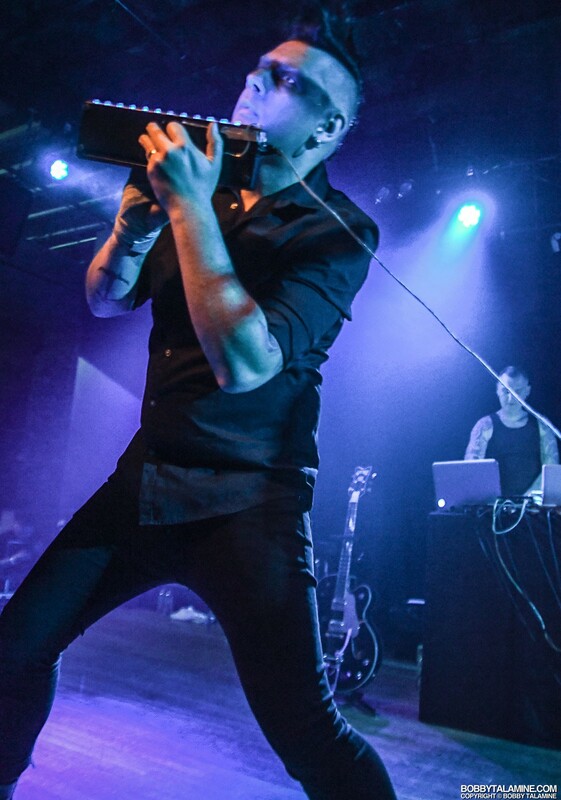 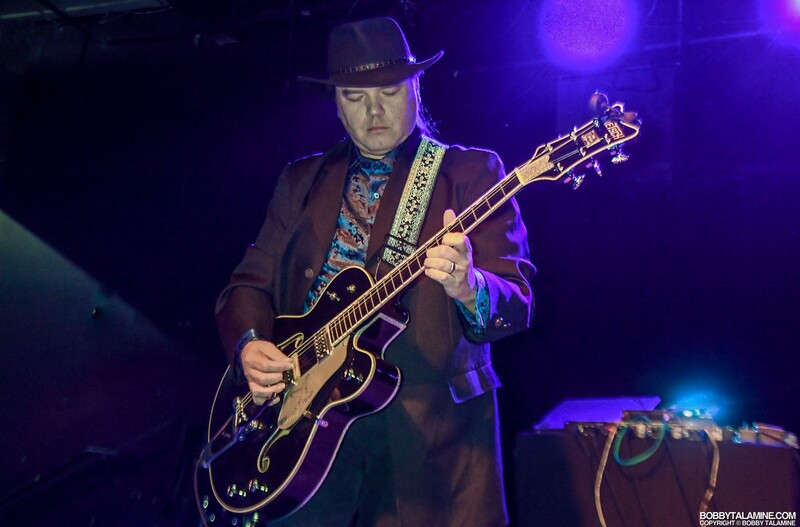 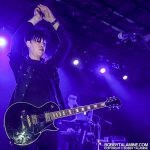 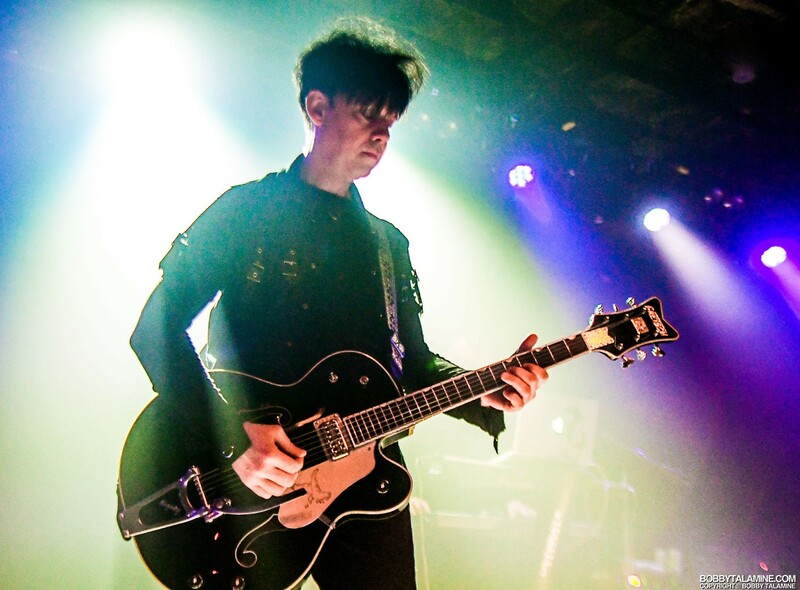 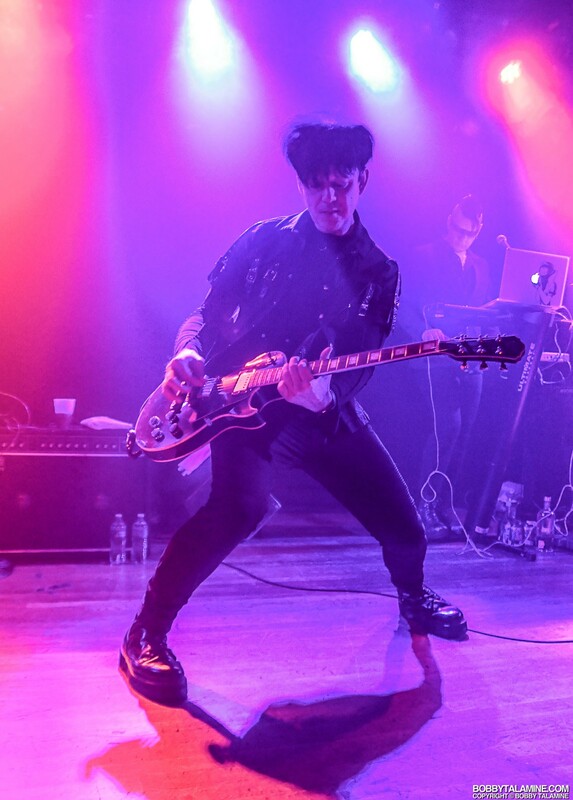 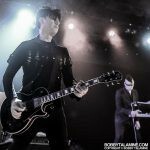 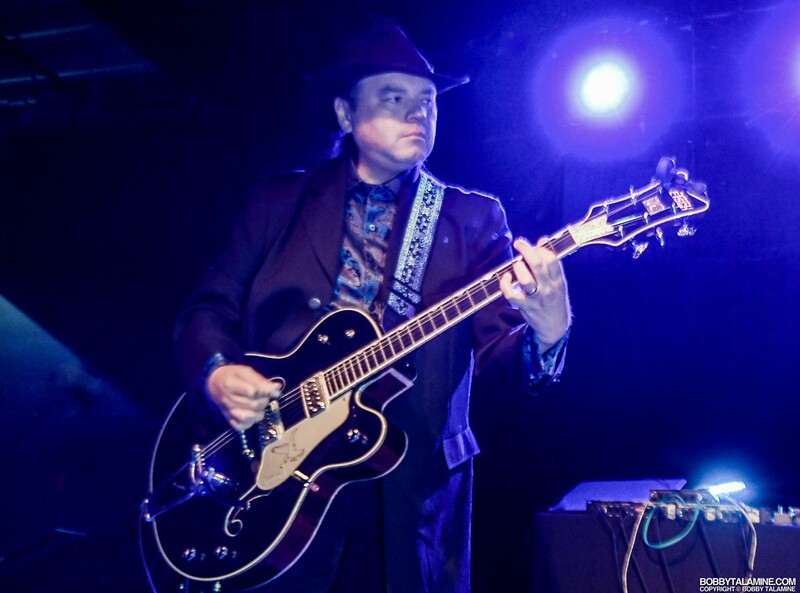 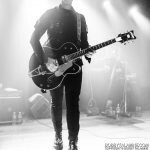 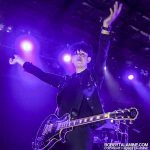 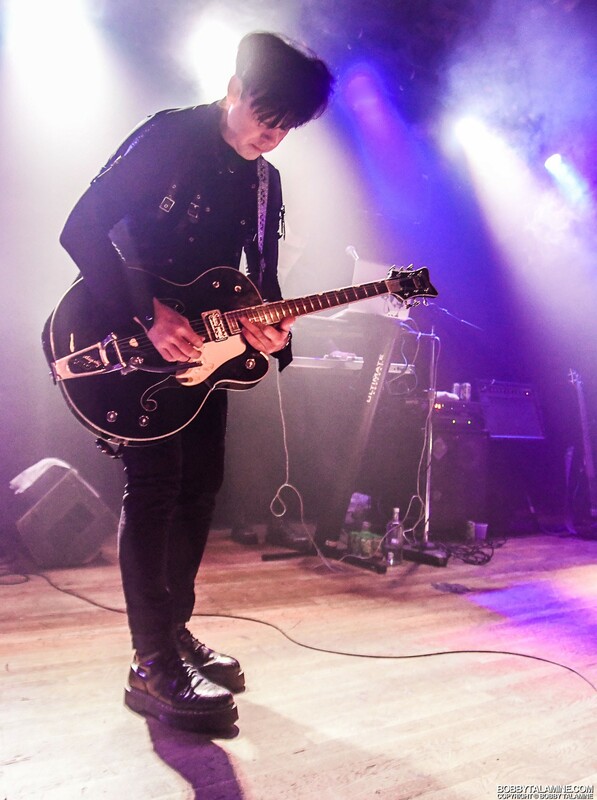 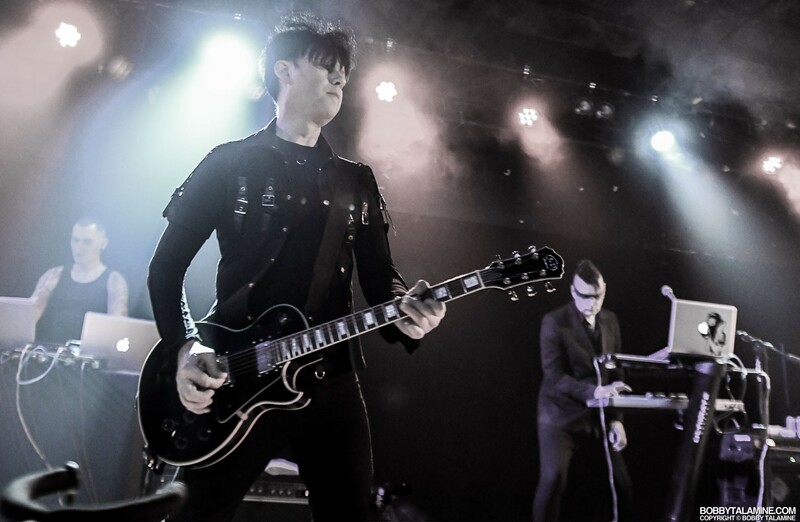 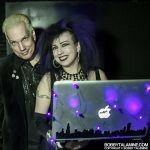 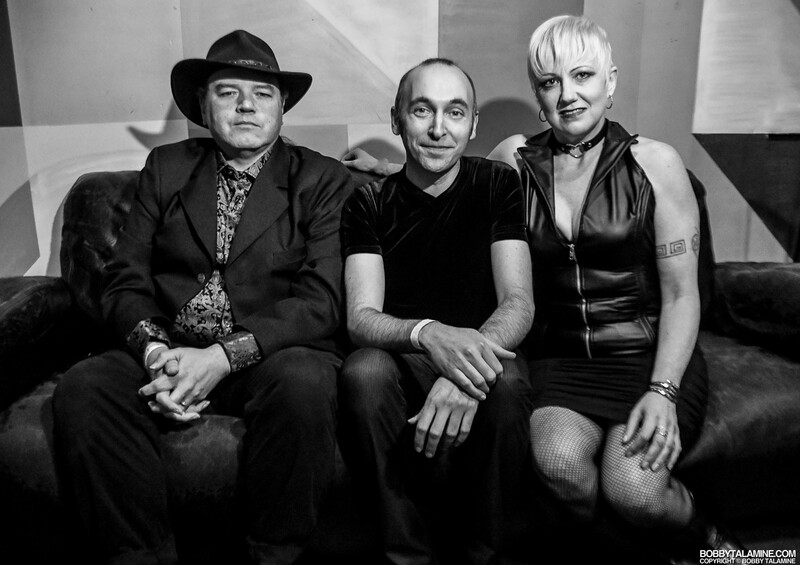 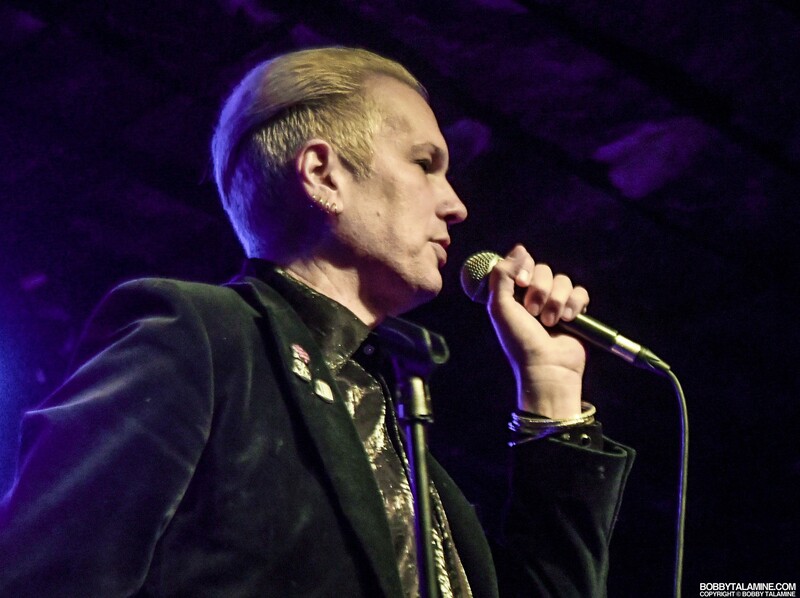 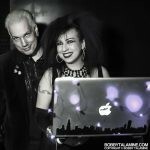 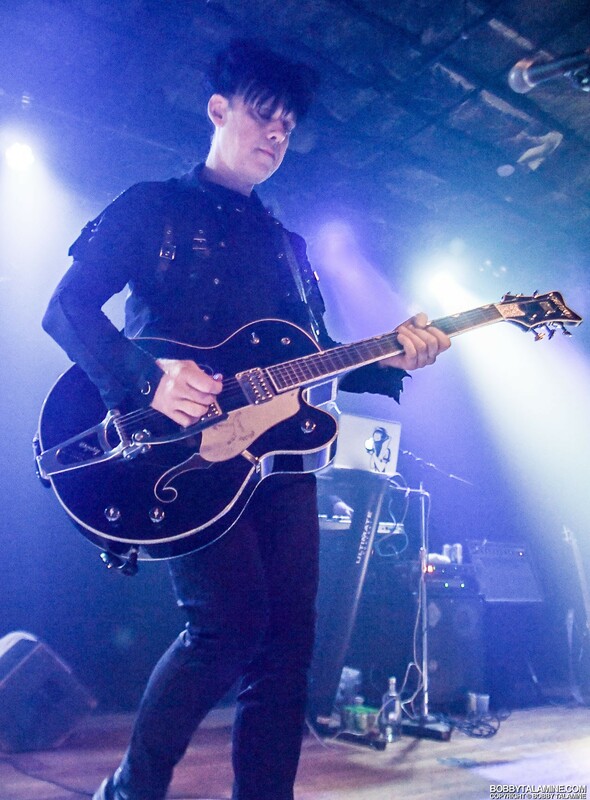 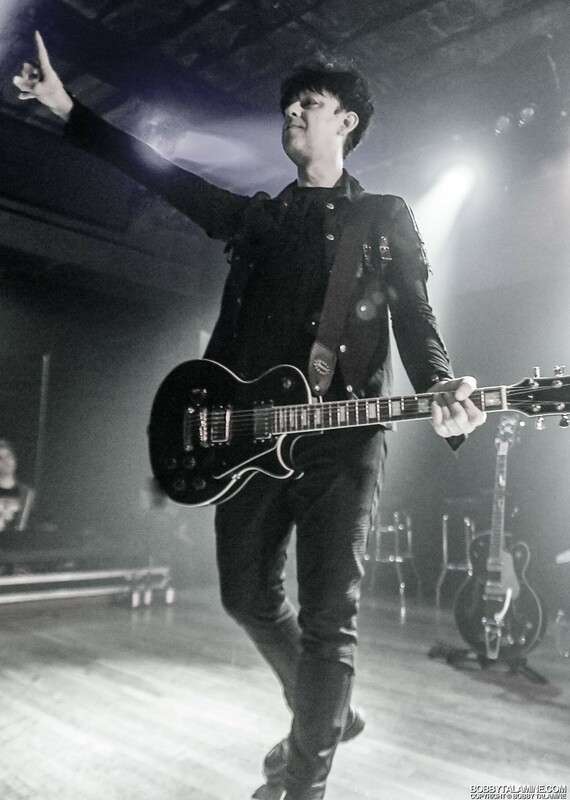 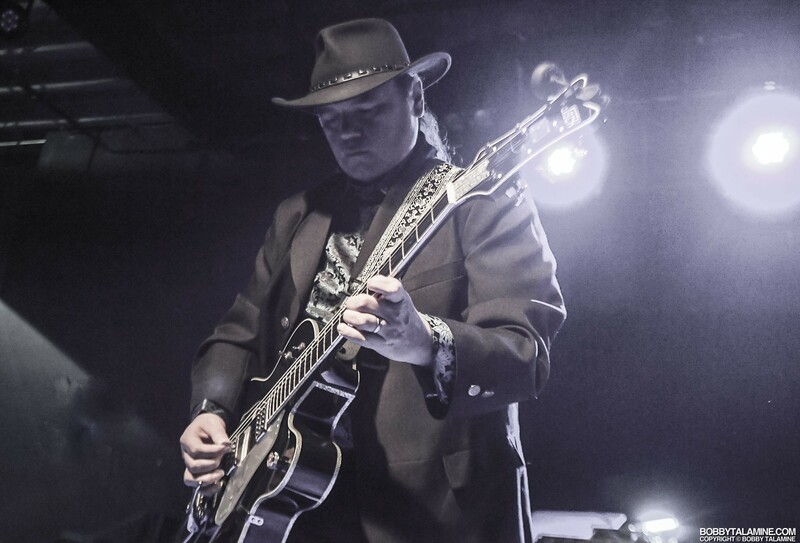 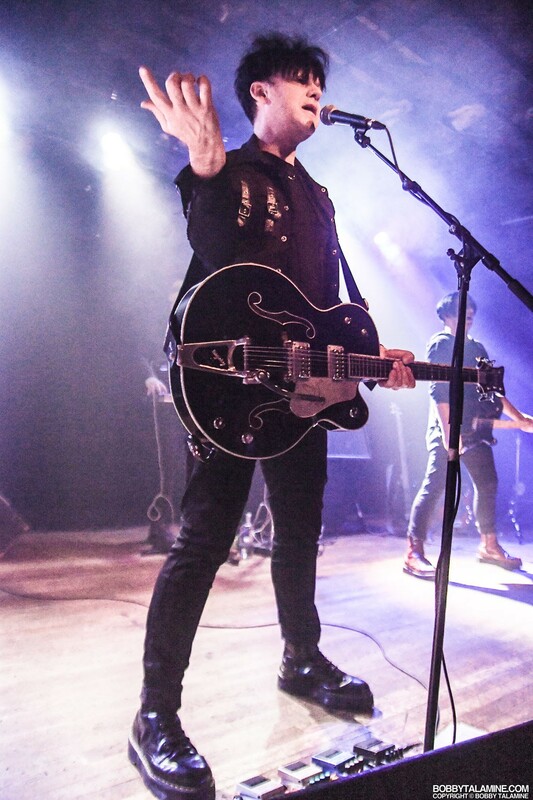 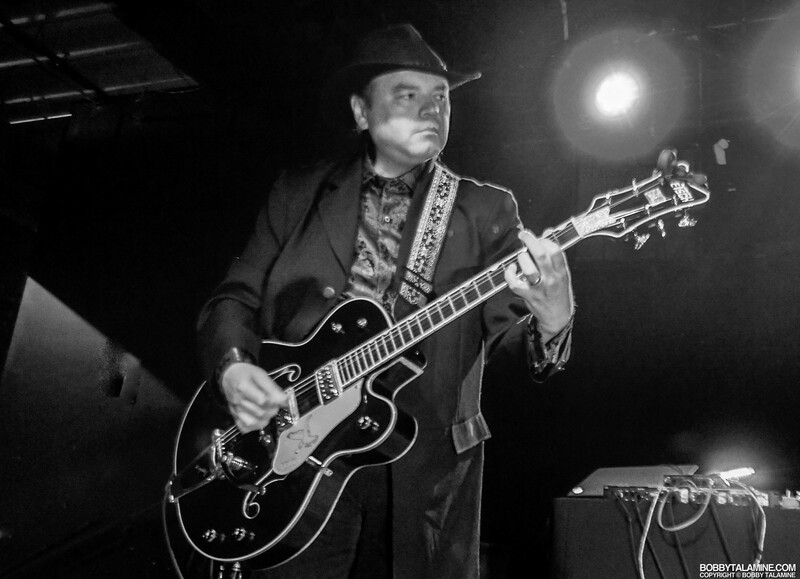 And for good reason, especially on a Saturday night in Chicago, when all the Goth lovelies can dress up to the nines, and sway and dance the night away listening to the breathtaking moods of Ronny Moorings and his band Clan of Xymox. 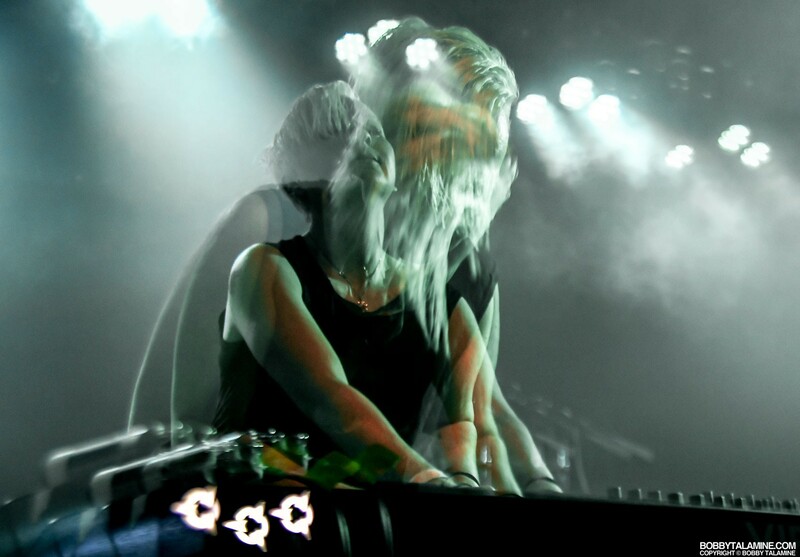 Constantly changing, always challenging. 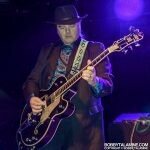 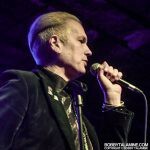 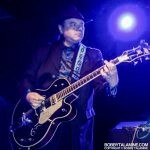 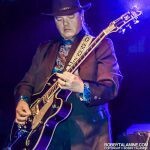 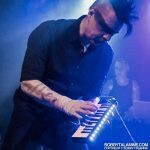 That’s Ronny Moorings- always unique, and doing his best to make something in this genre of music his own. 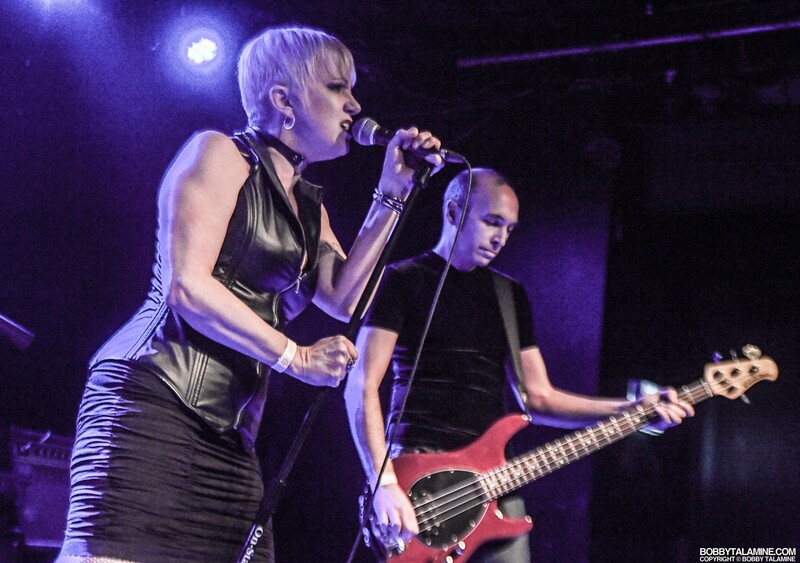 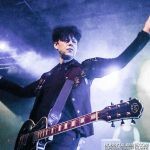 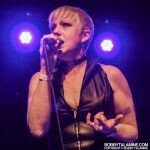 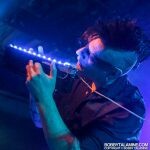 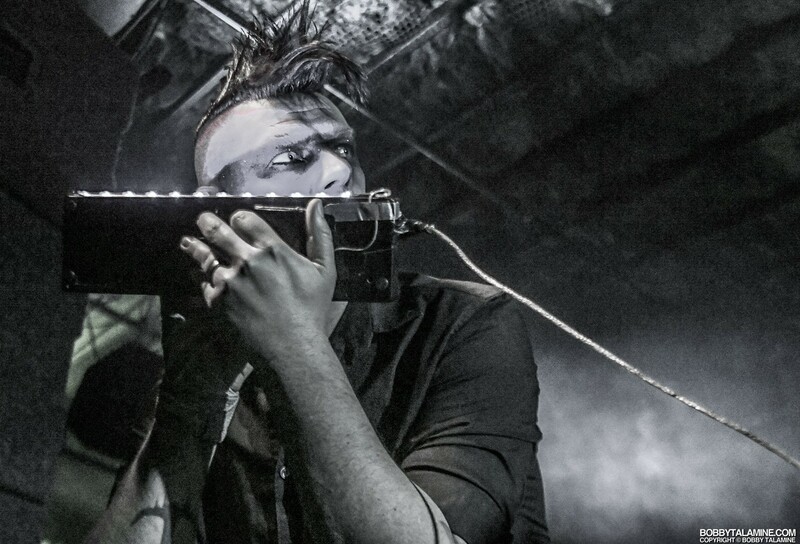 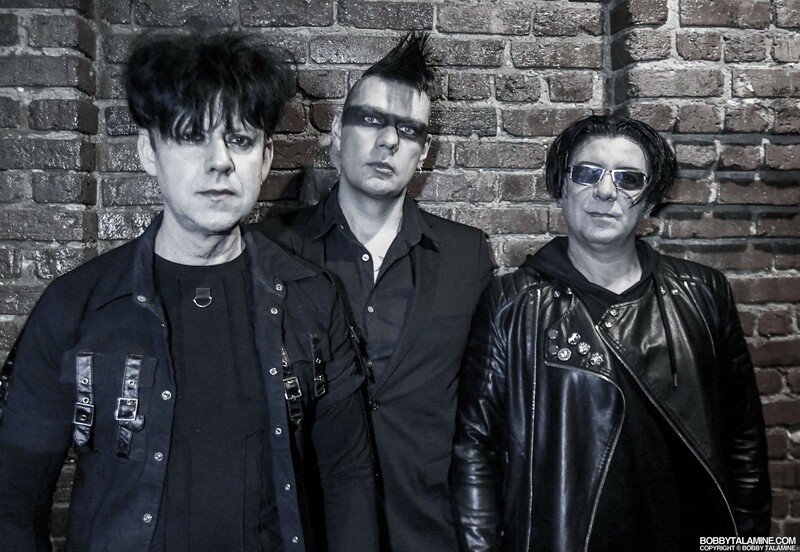 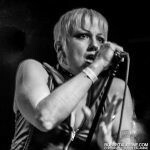 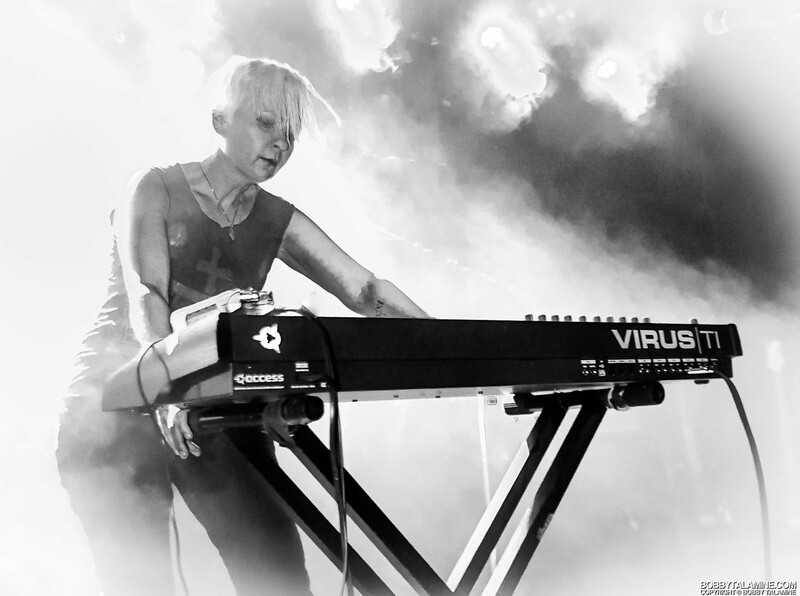 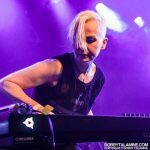 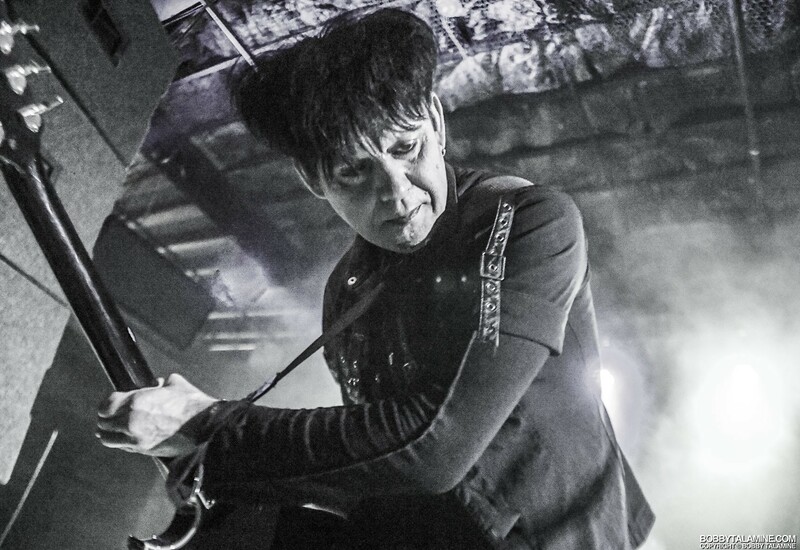 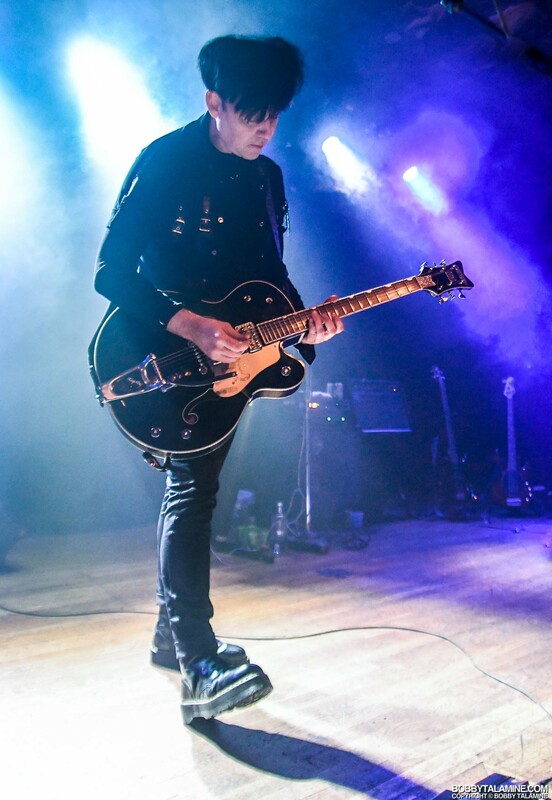 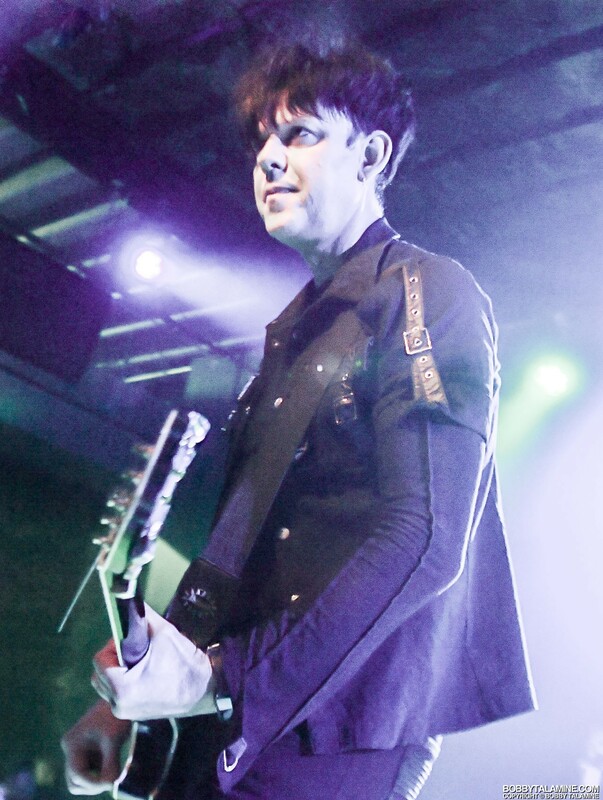 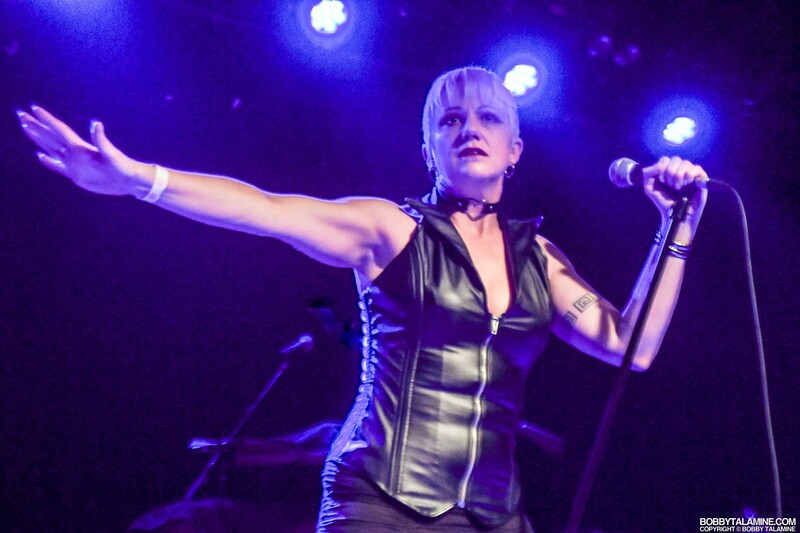 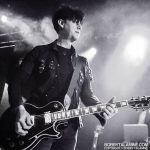 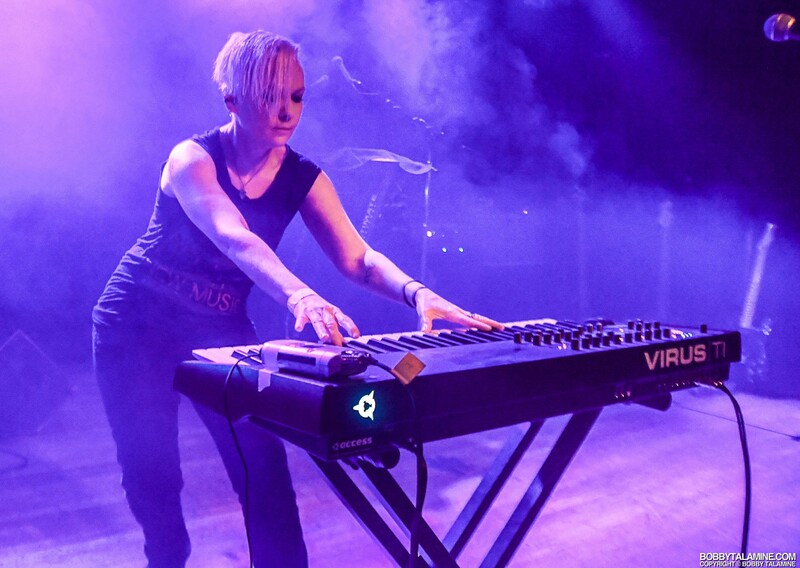 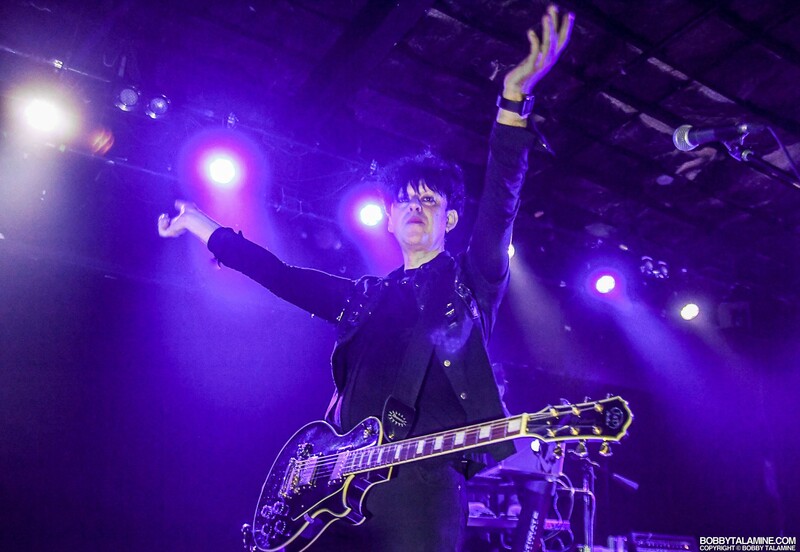 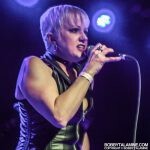 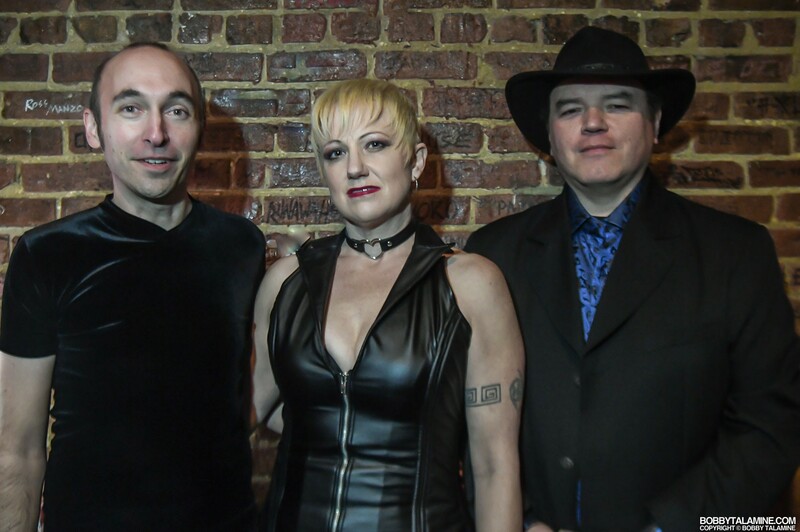 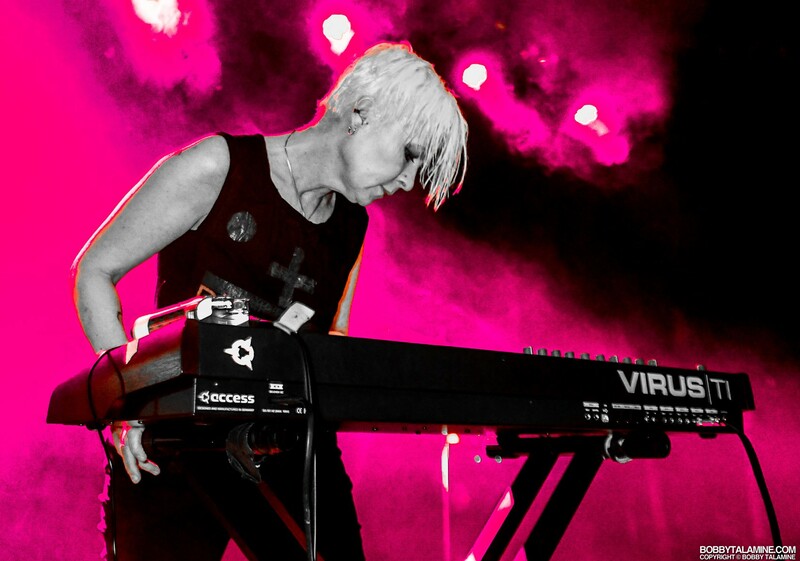 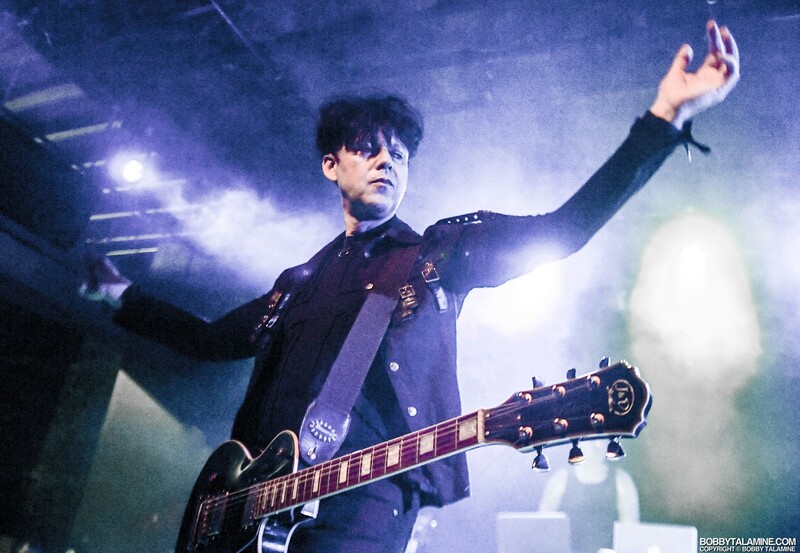 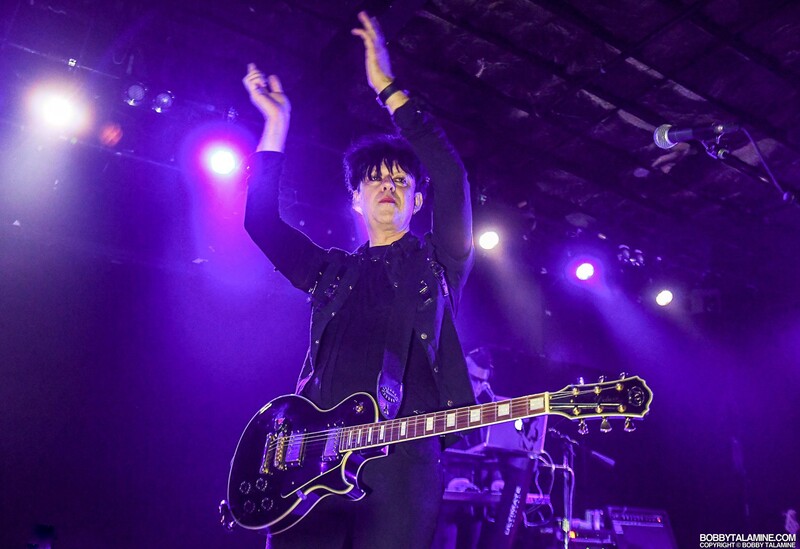 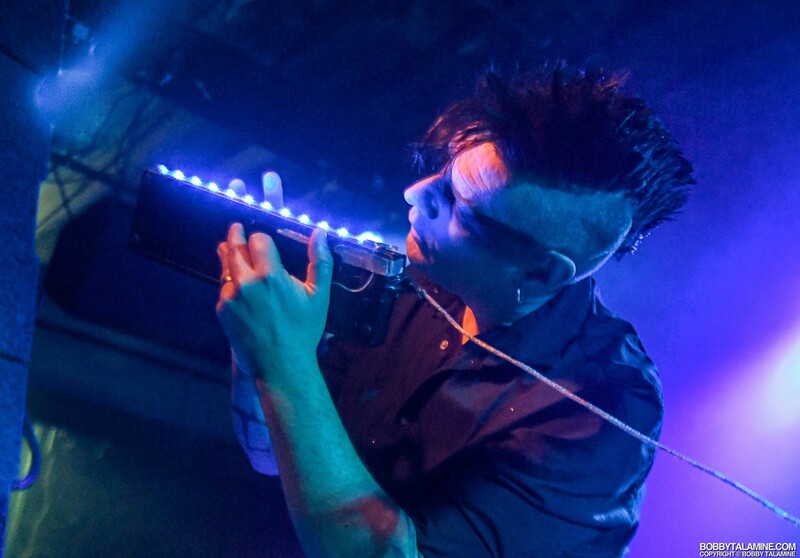 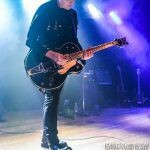 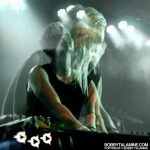 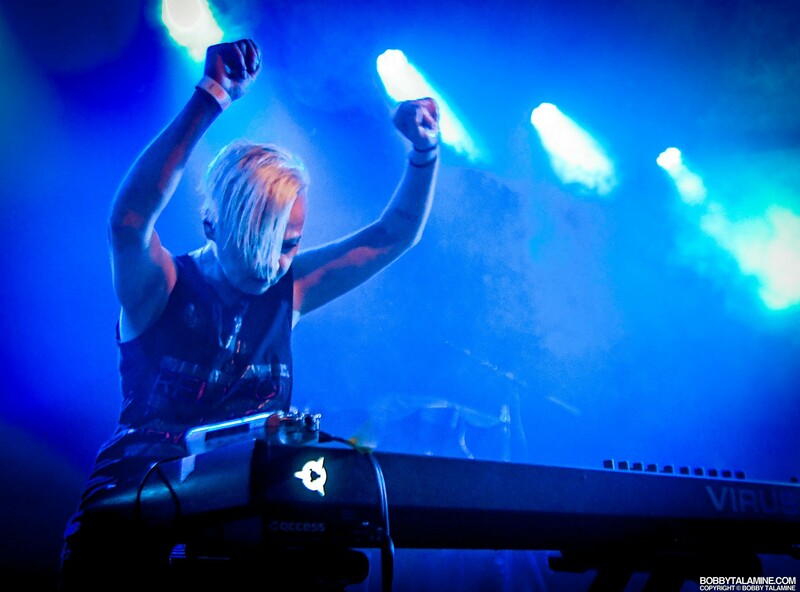 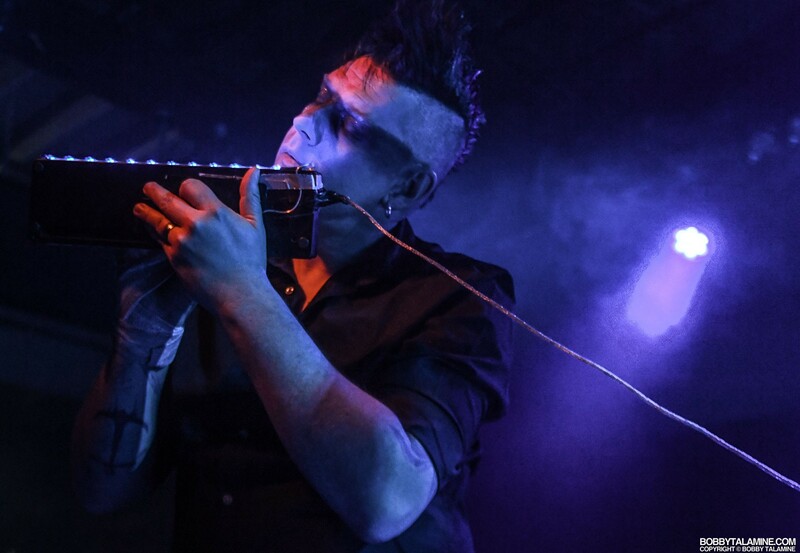 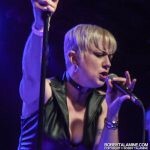 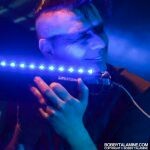 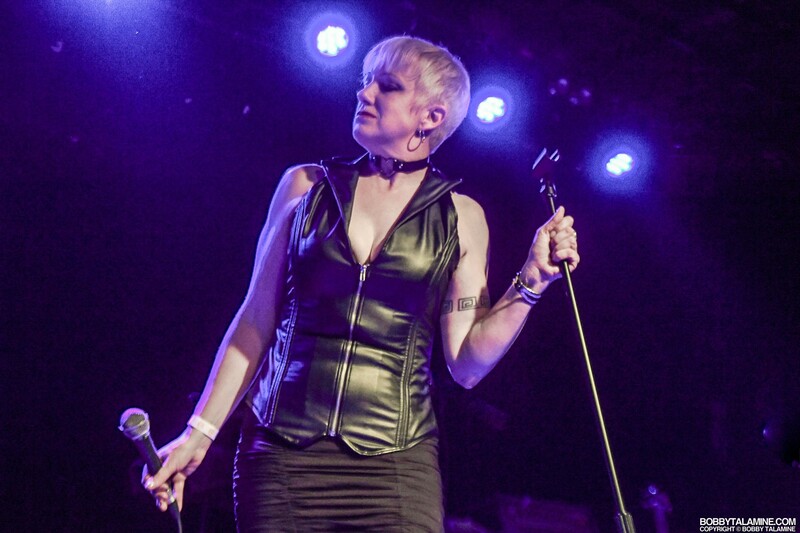 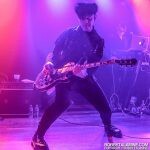 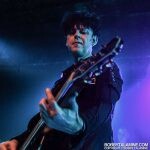 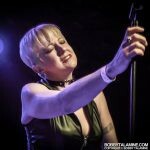 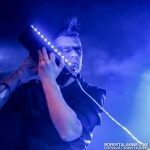 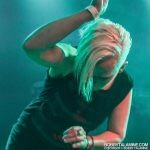 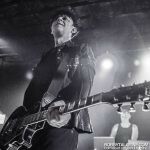 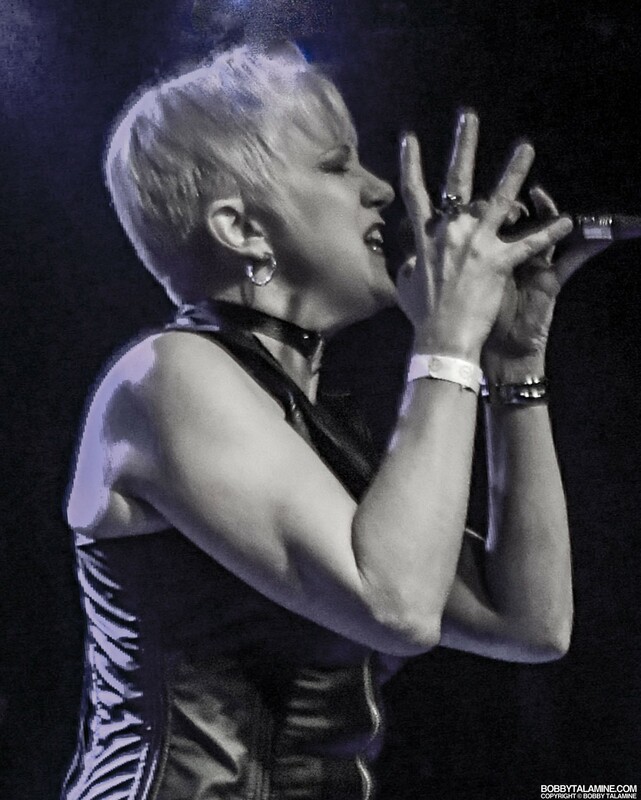 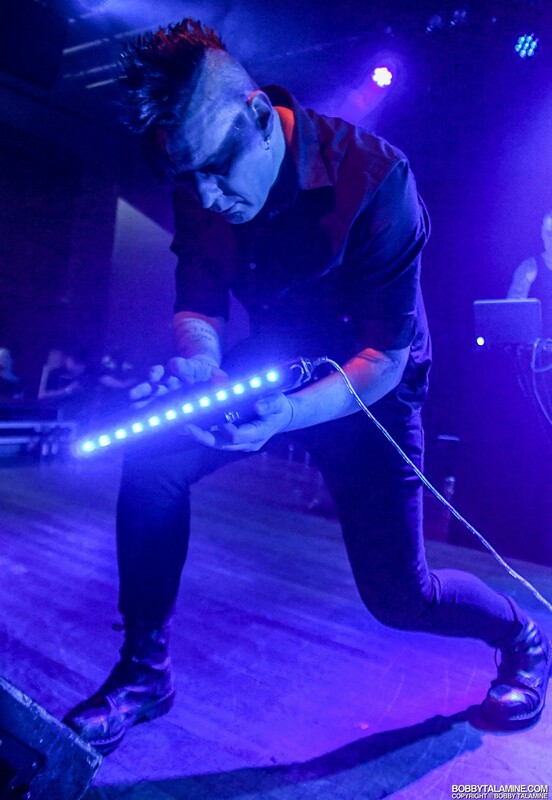 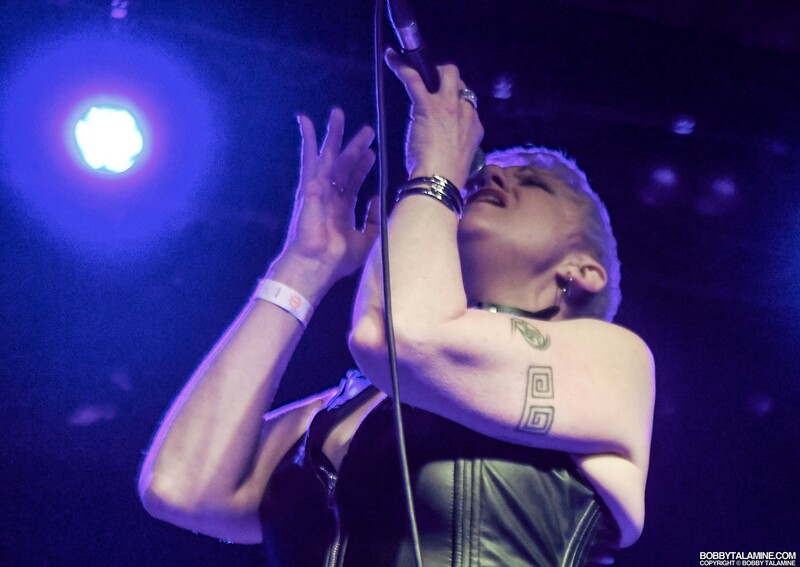 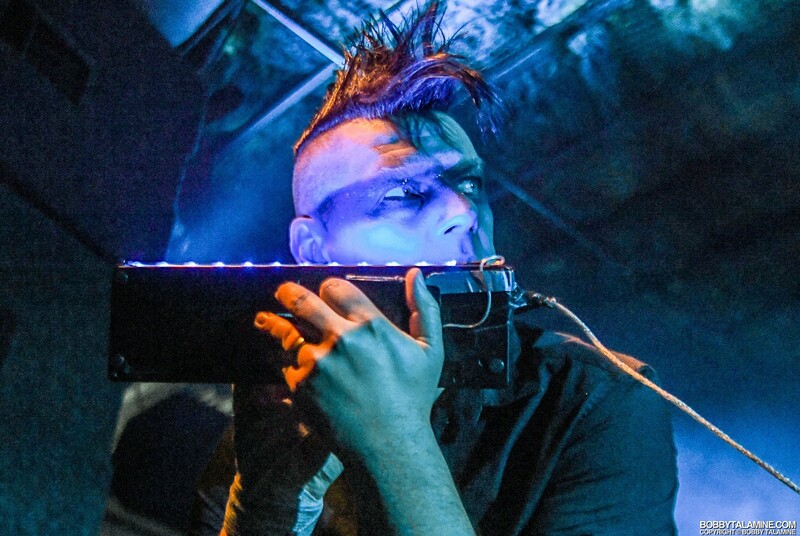 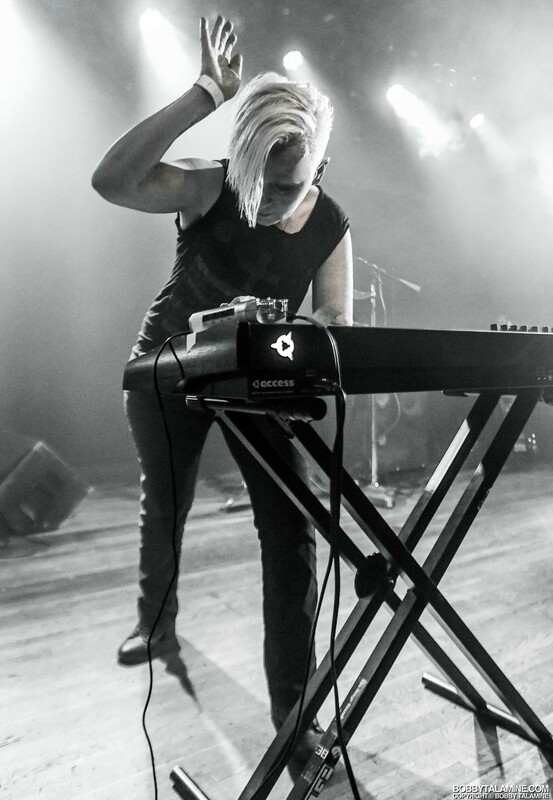 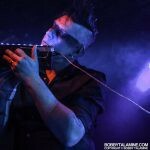 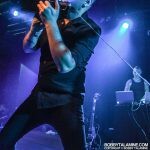 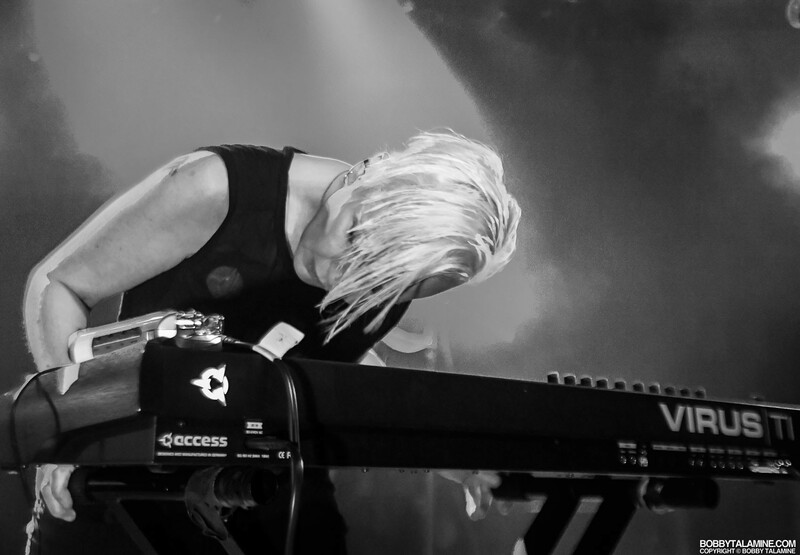 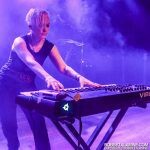 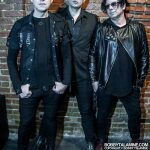 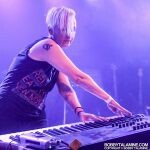 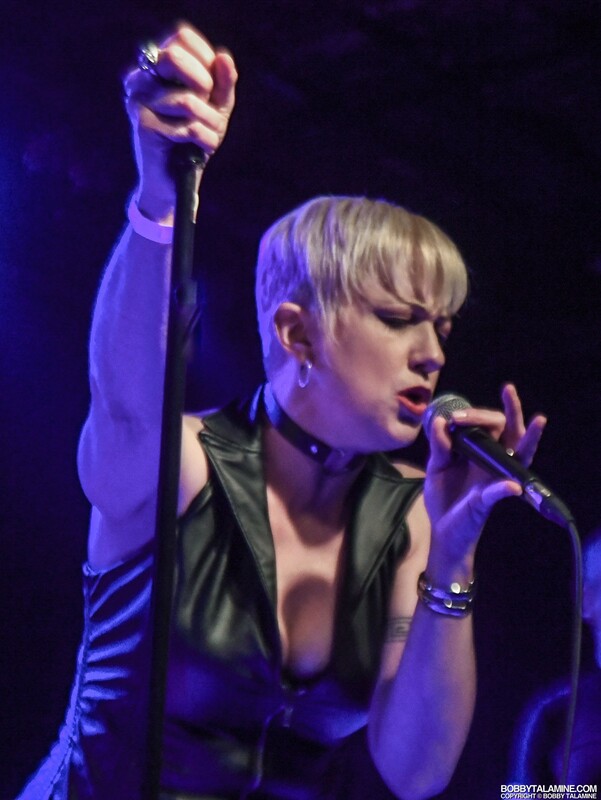 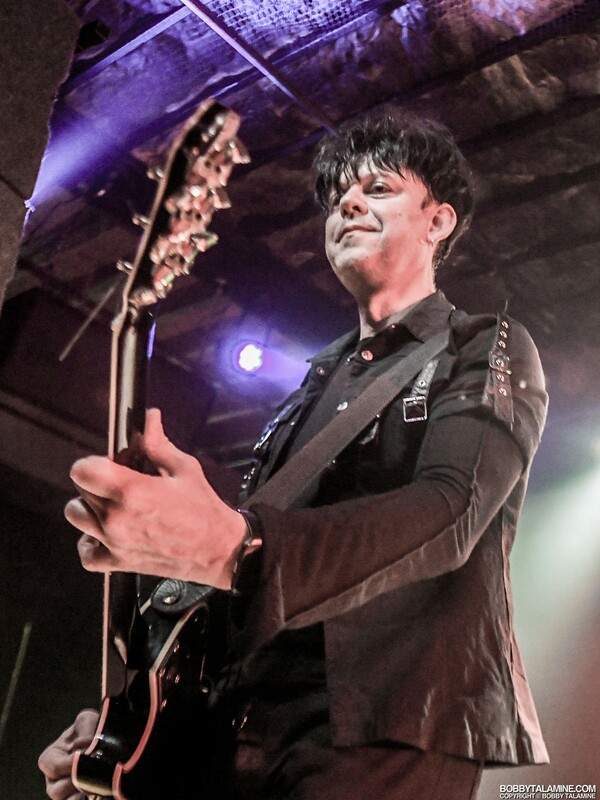 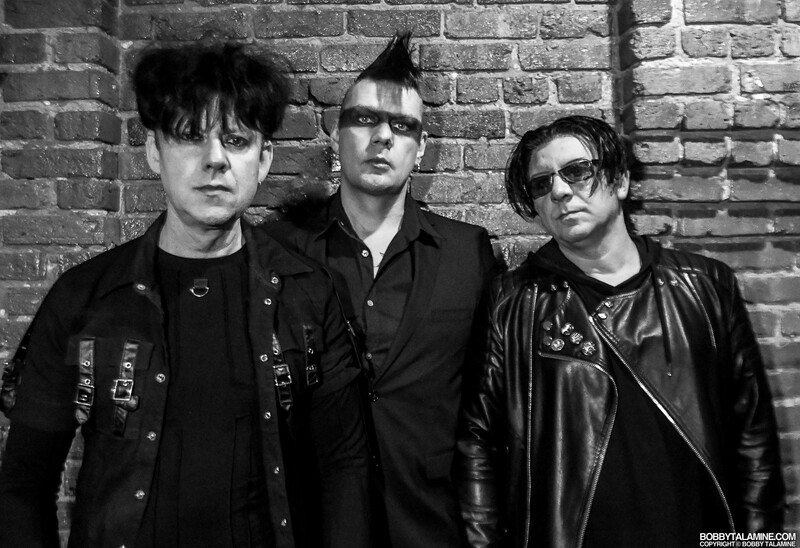 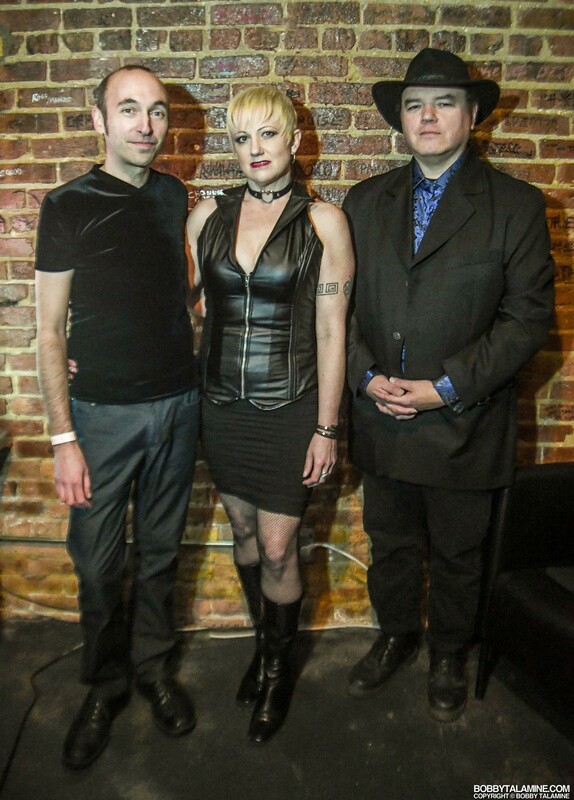 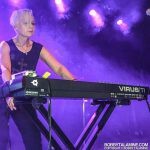 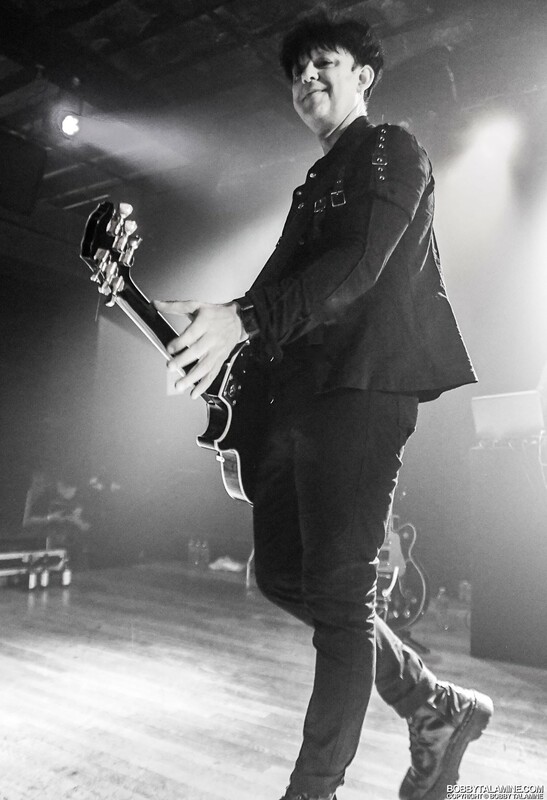 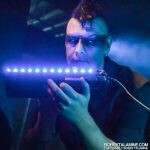 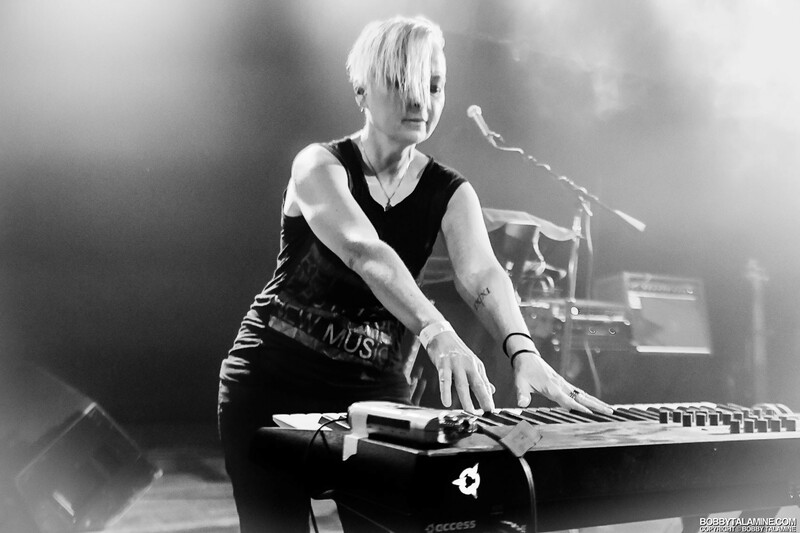 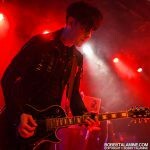 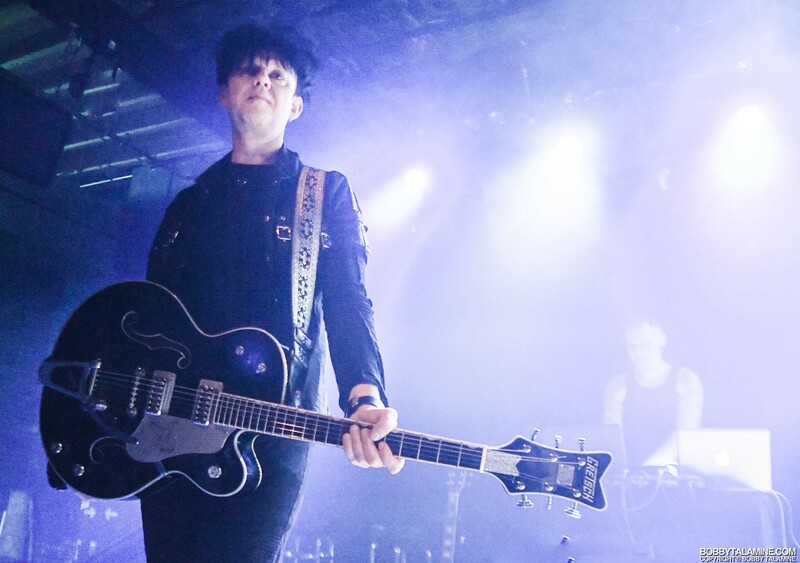 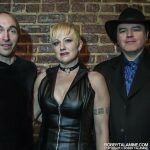 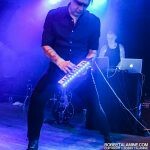 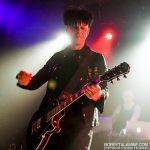 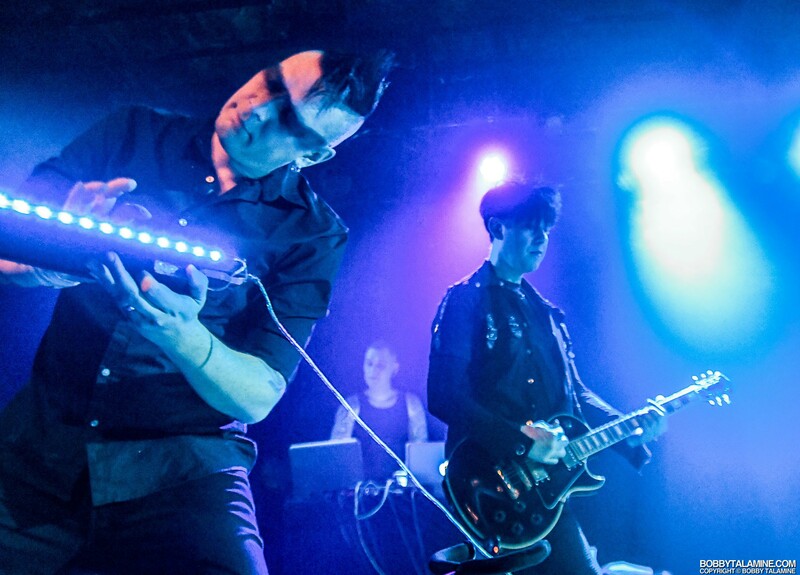 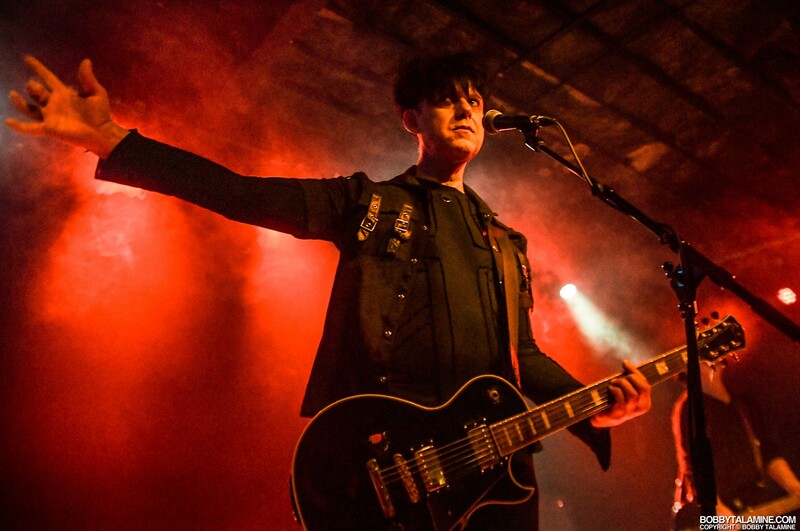 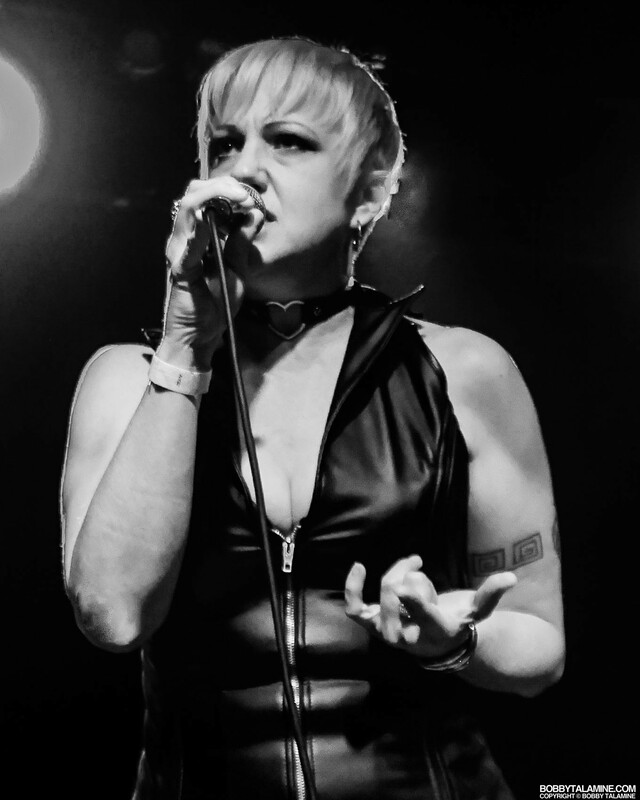 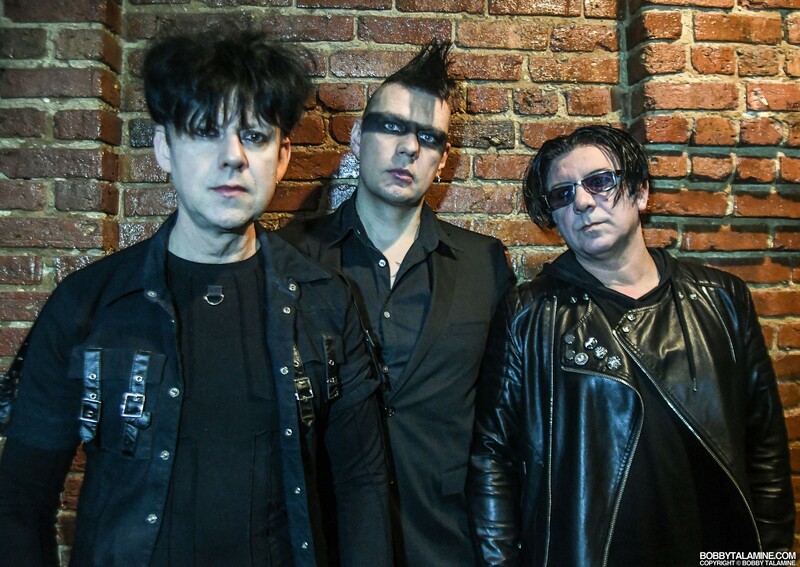 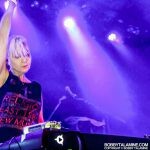 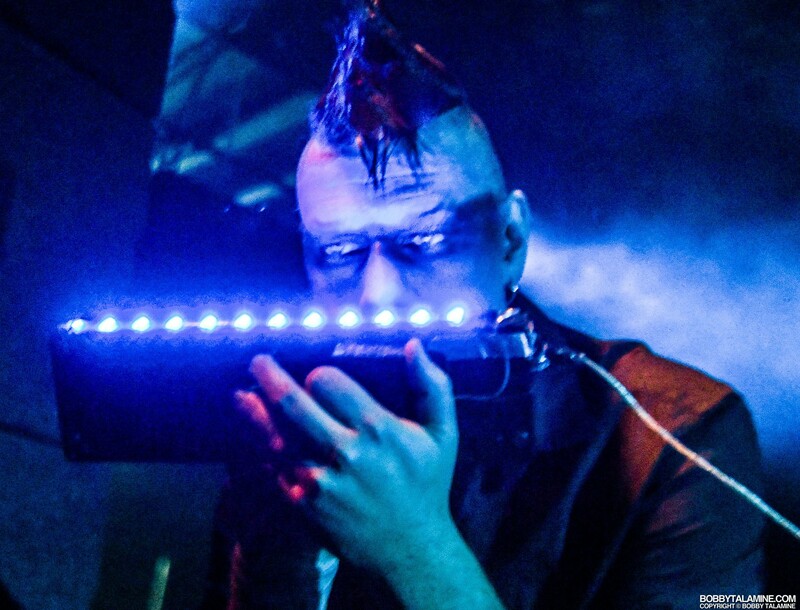 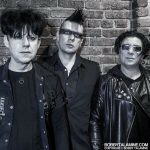 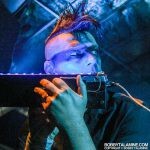 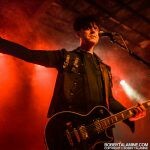 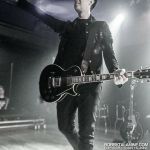 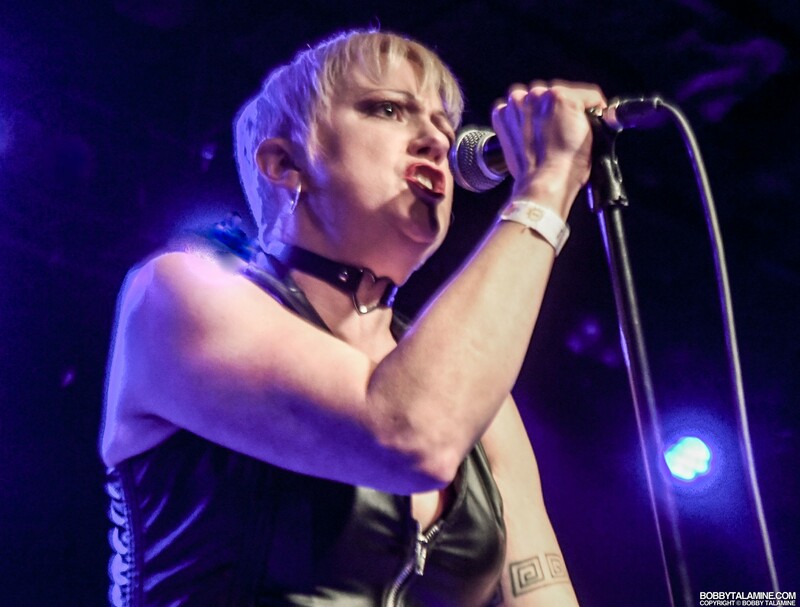 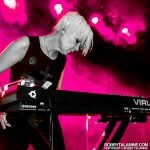 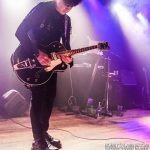 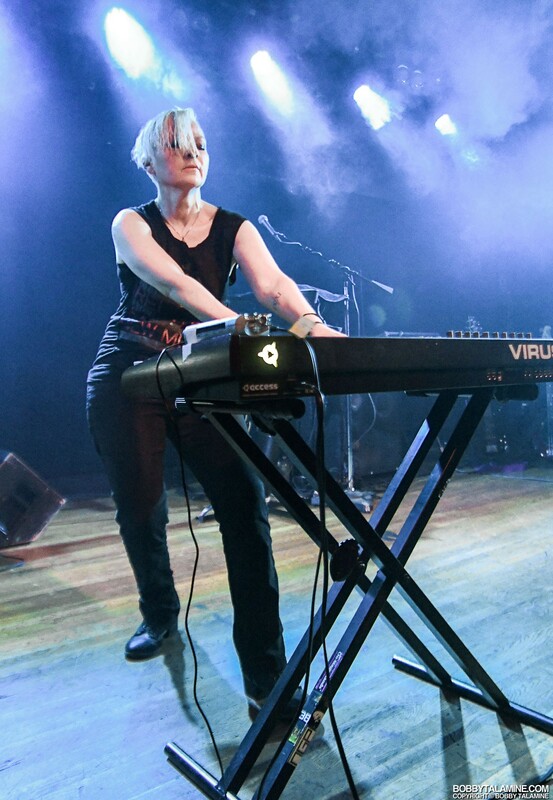 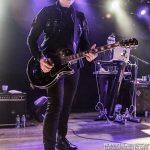 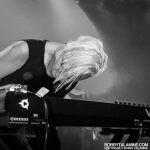 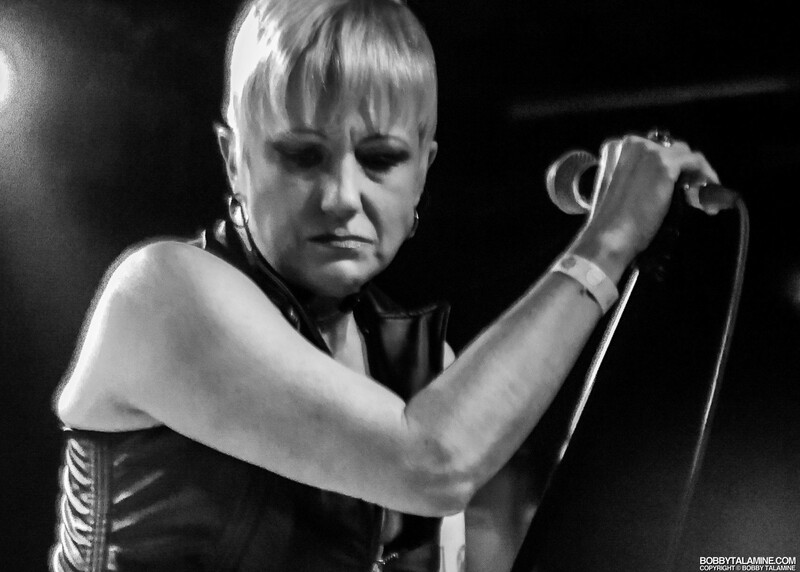 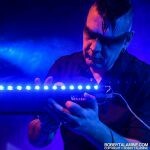 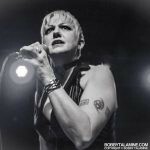 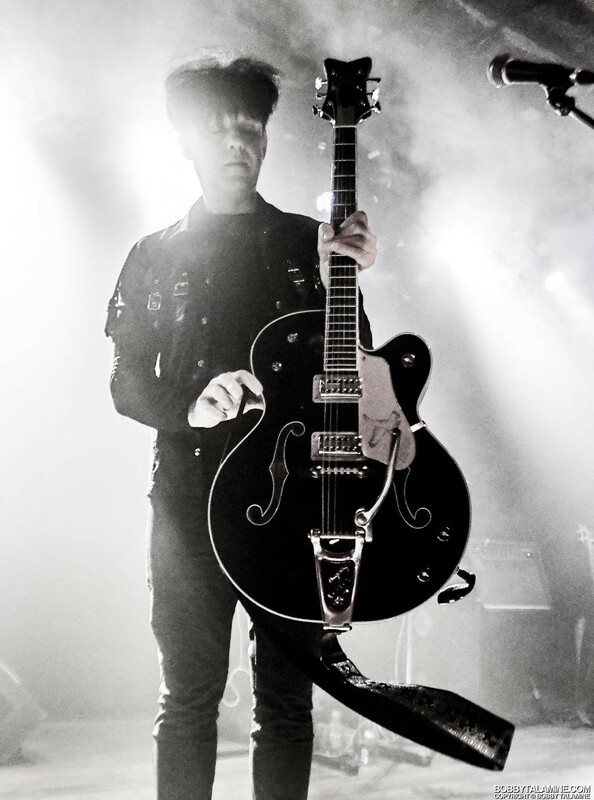 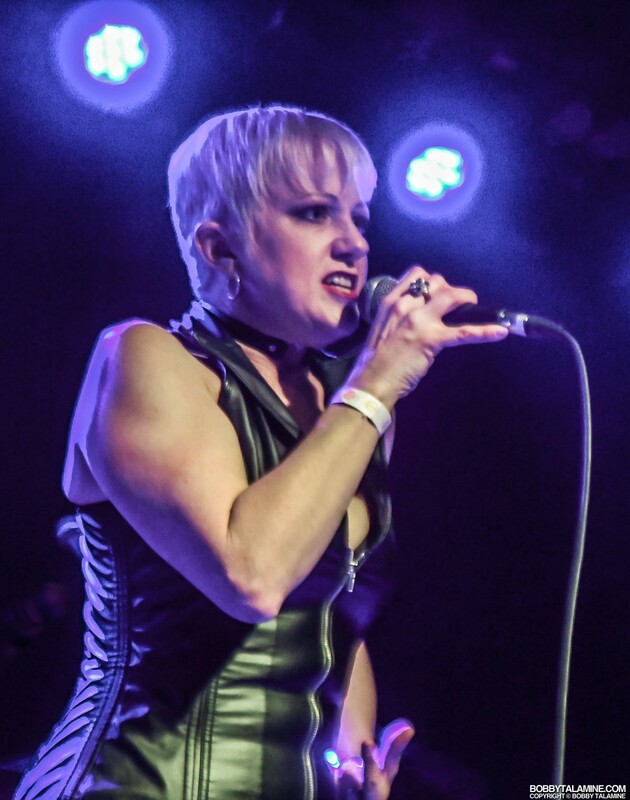 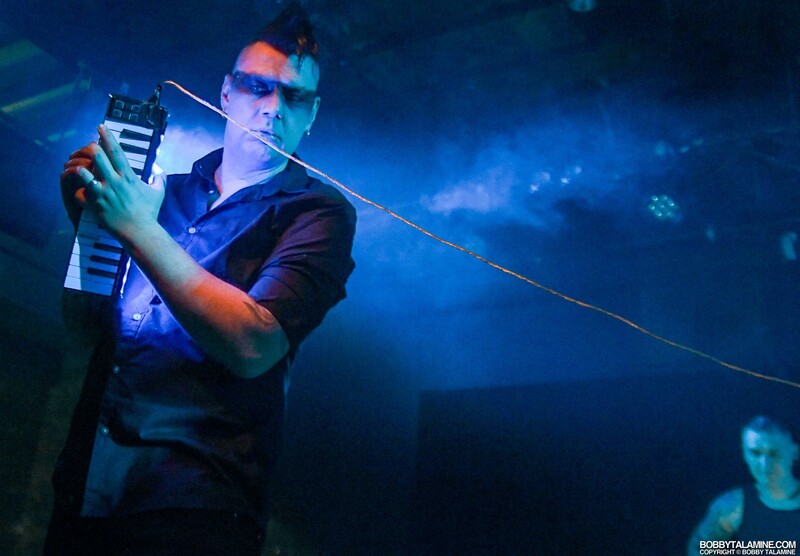 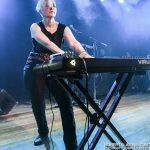 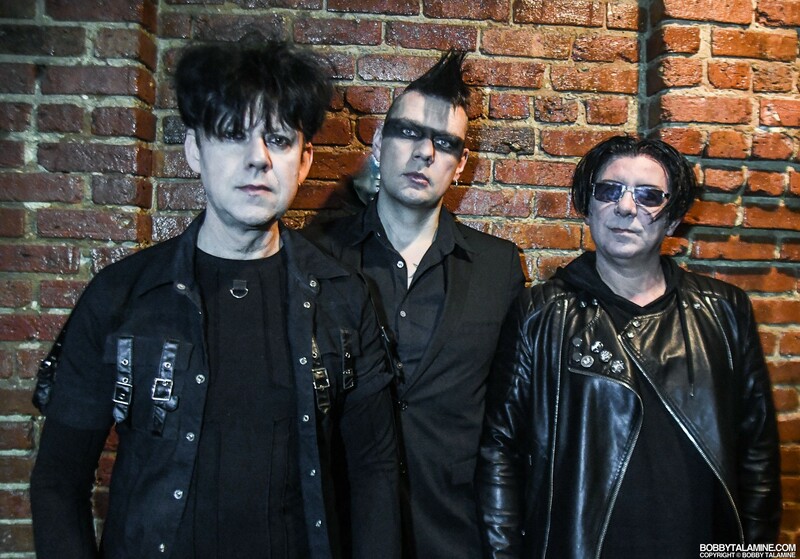 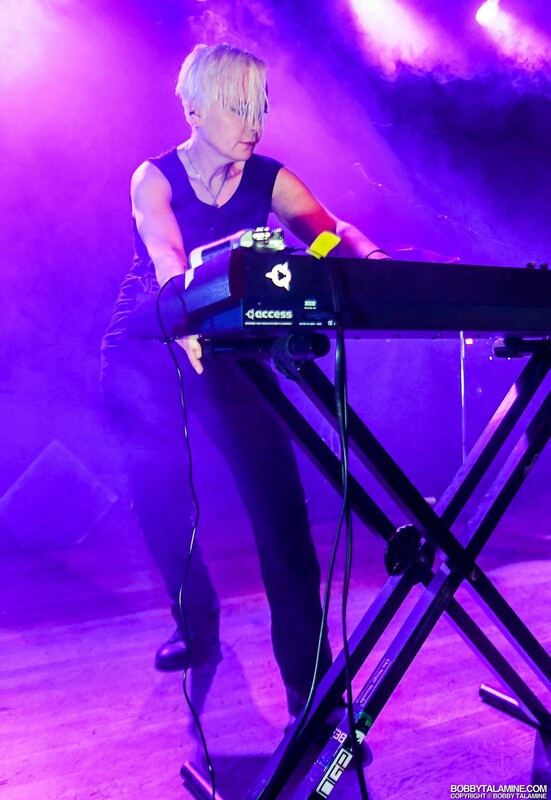 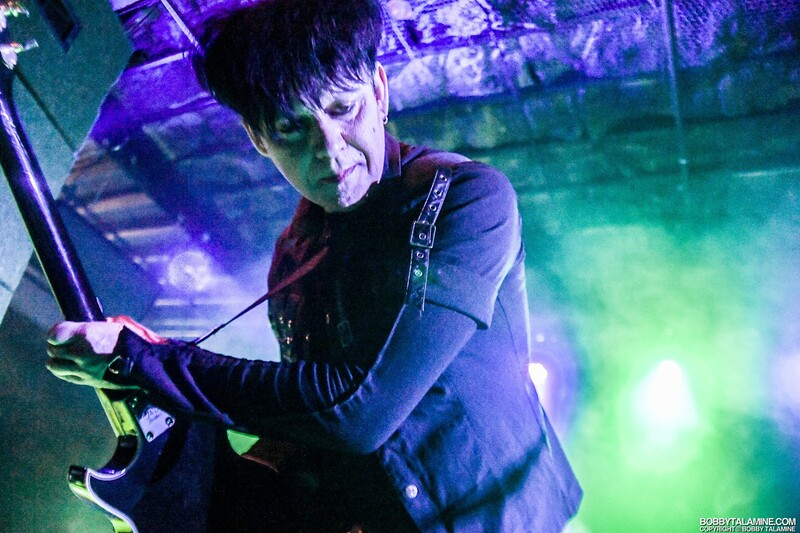 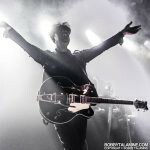 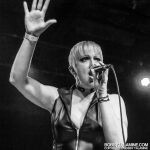 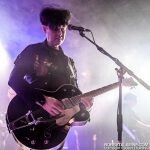 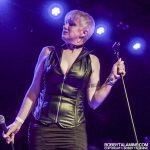 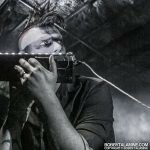 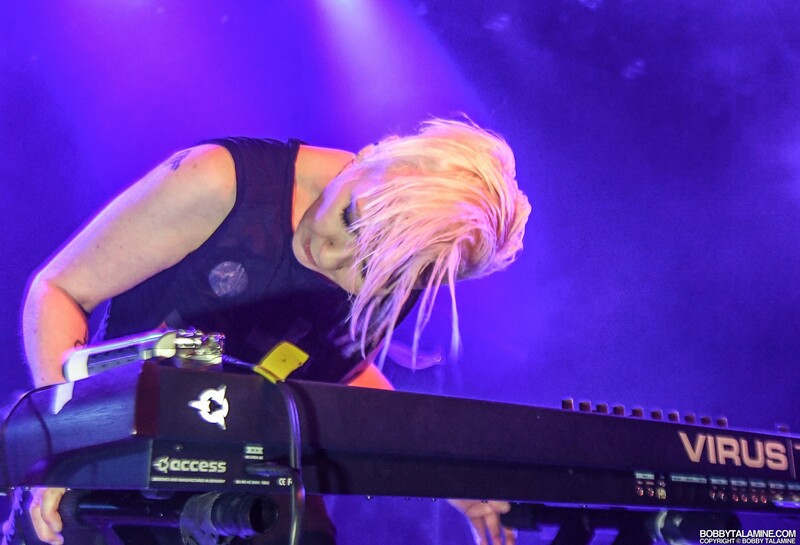 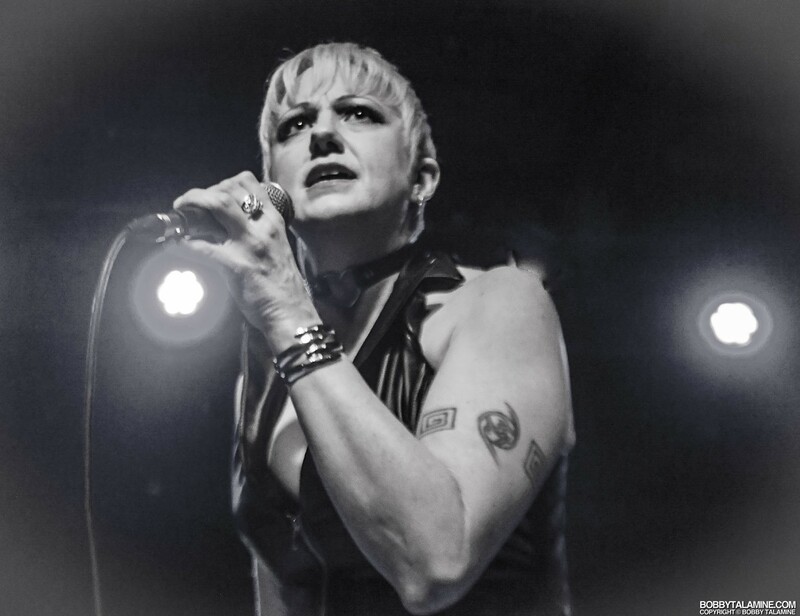 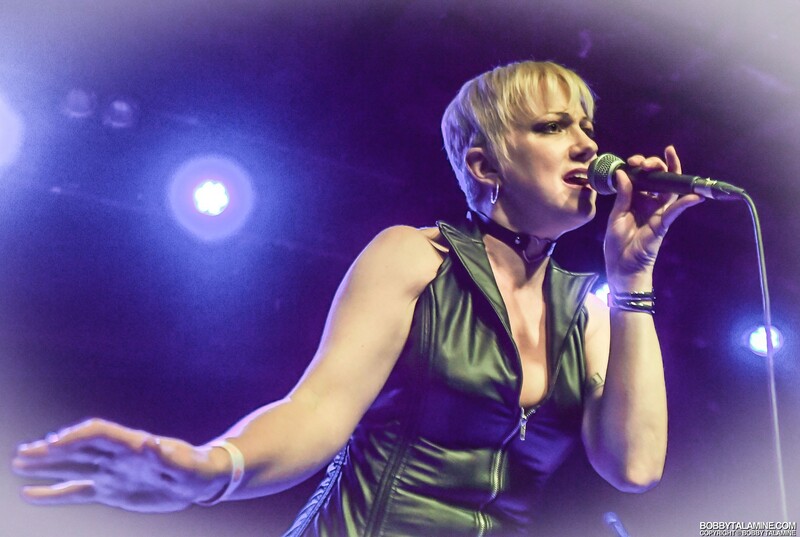 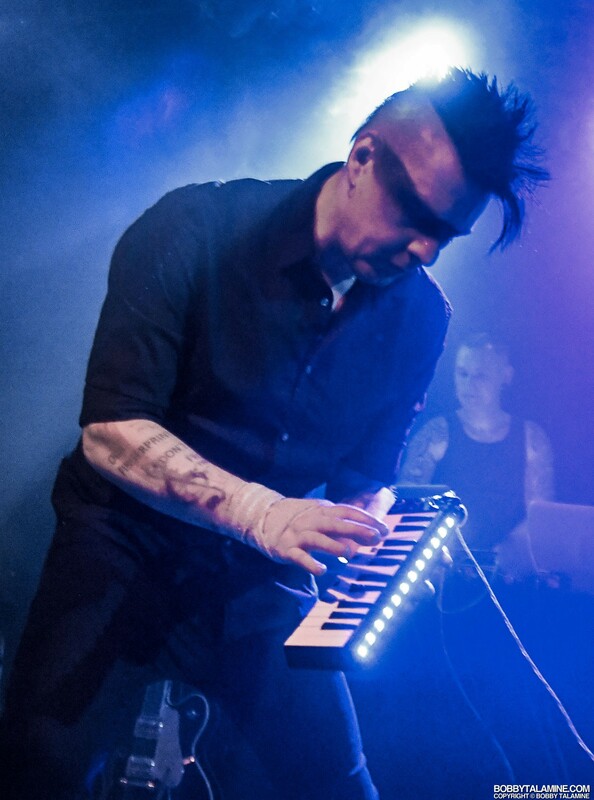 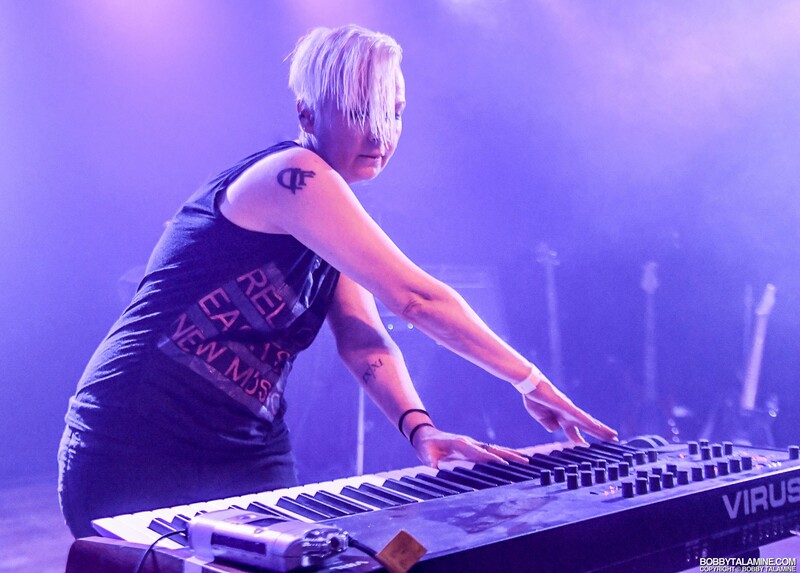 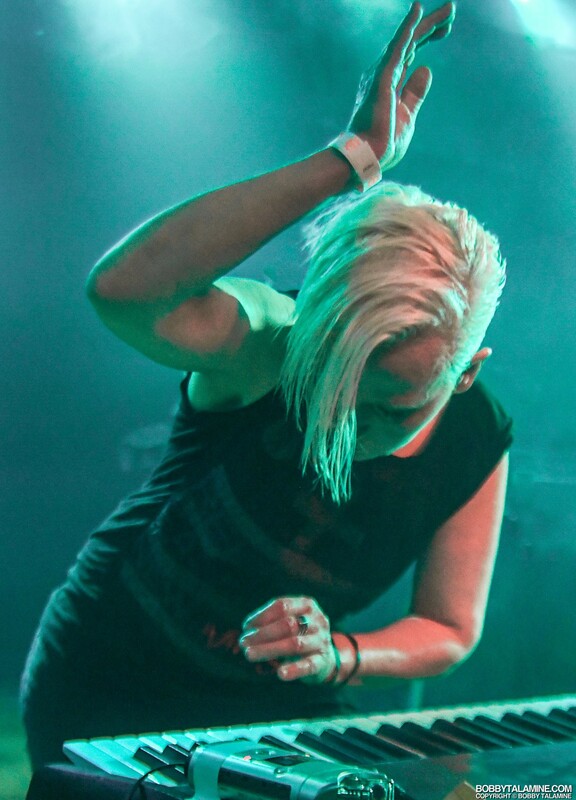 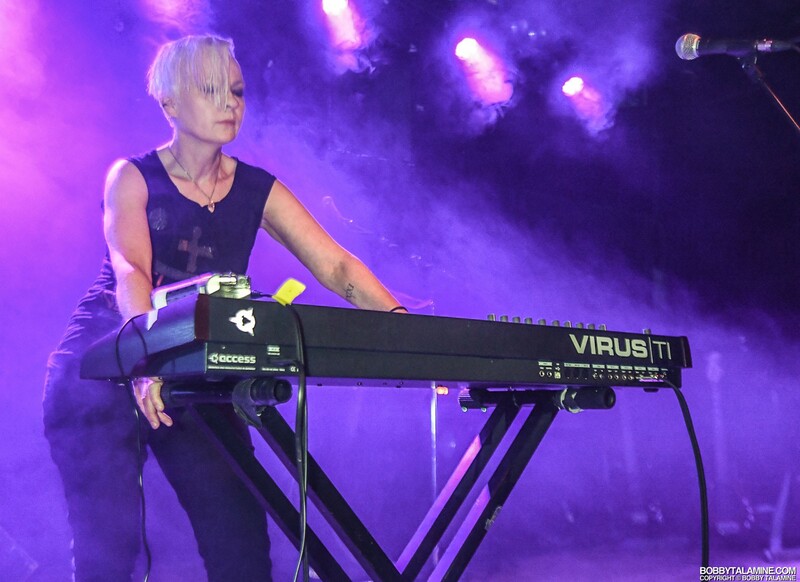 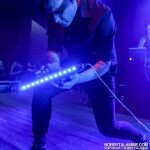 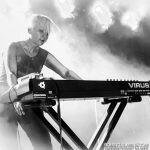 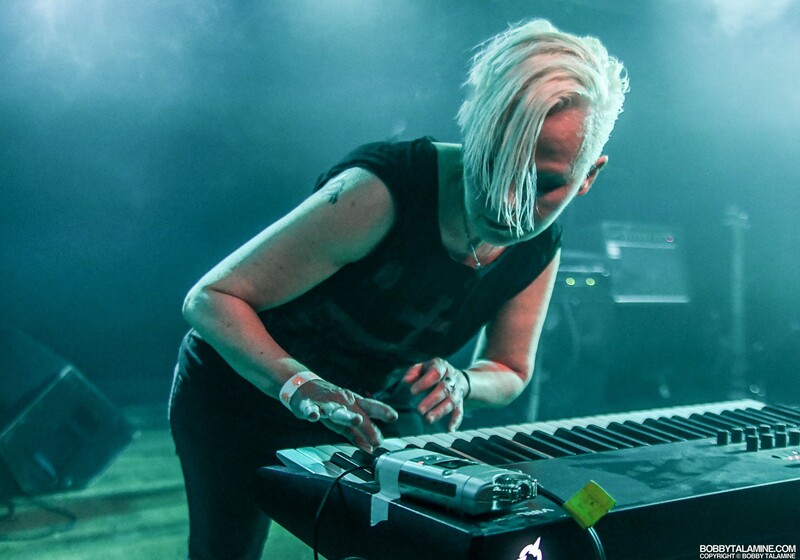 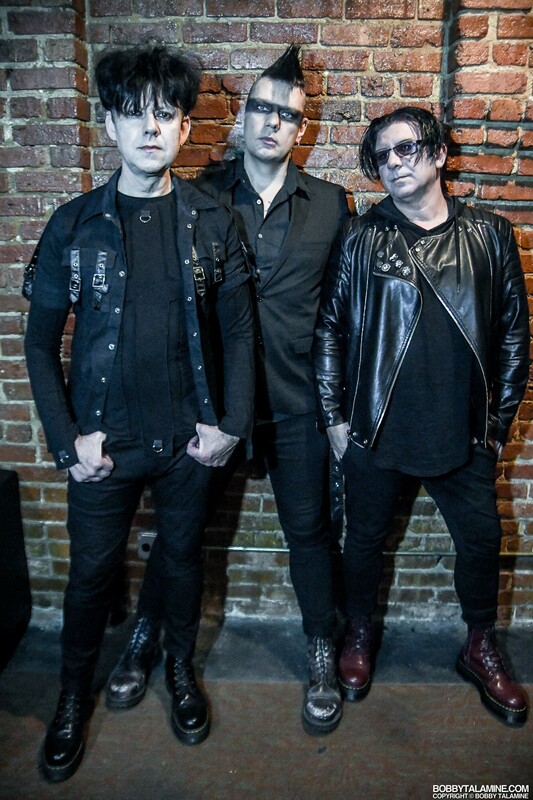 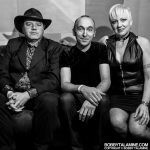 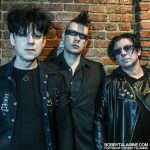 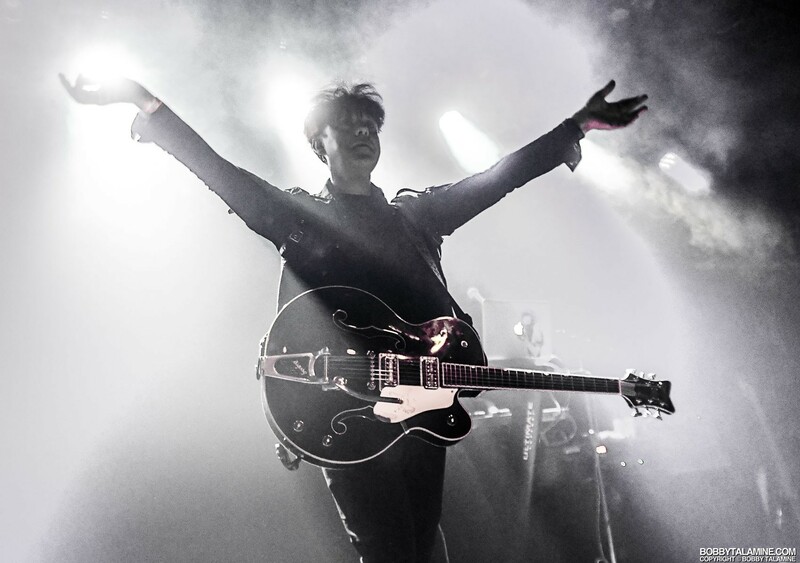 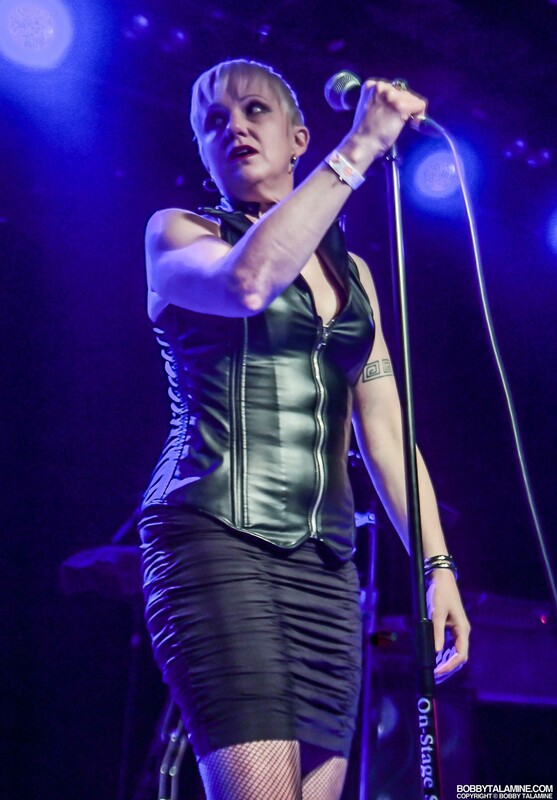 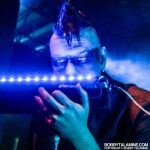 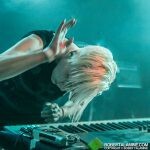 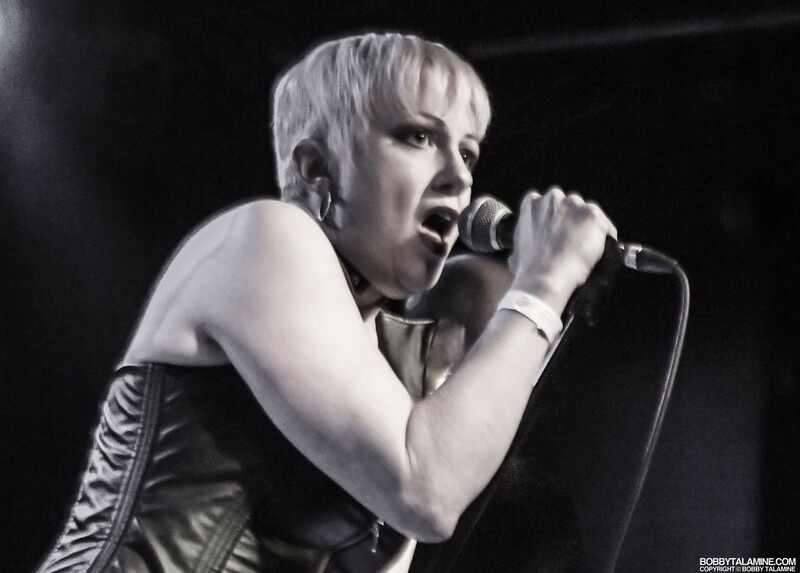 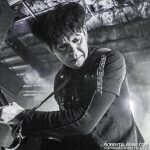 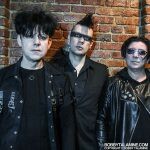 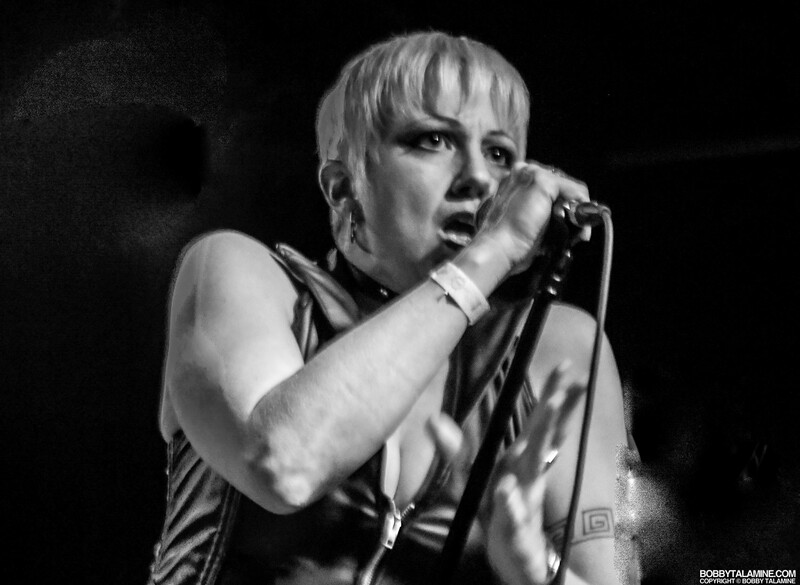 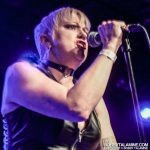 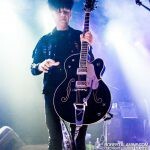 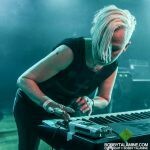 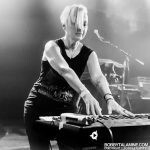 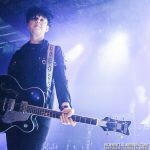 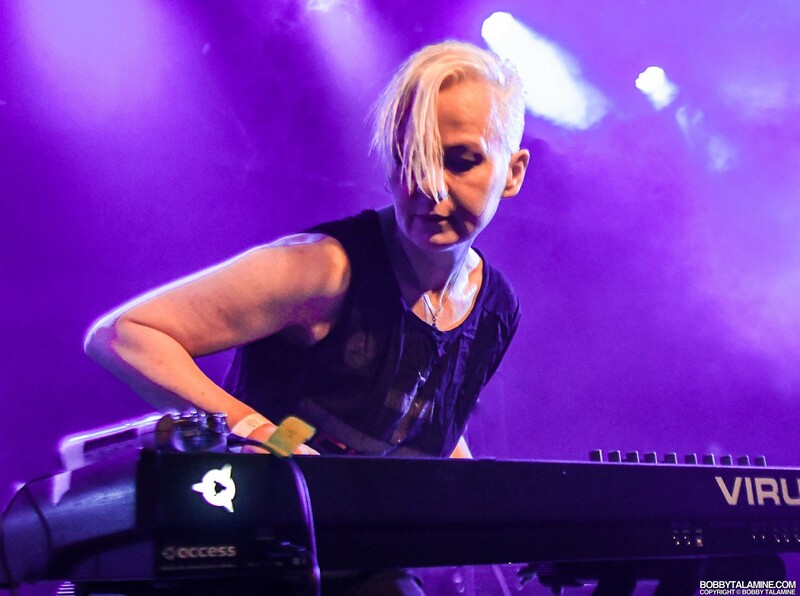 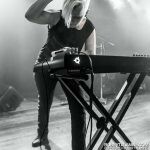 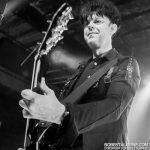 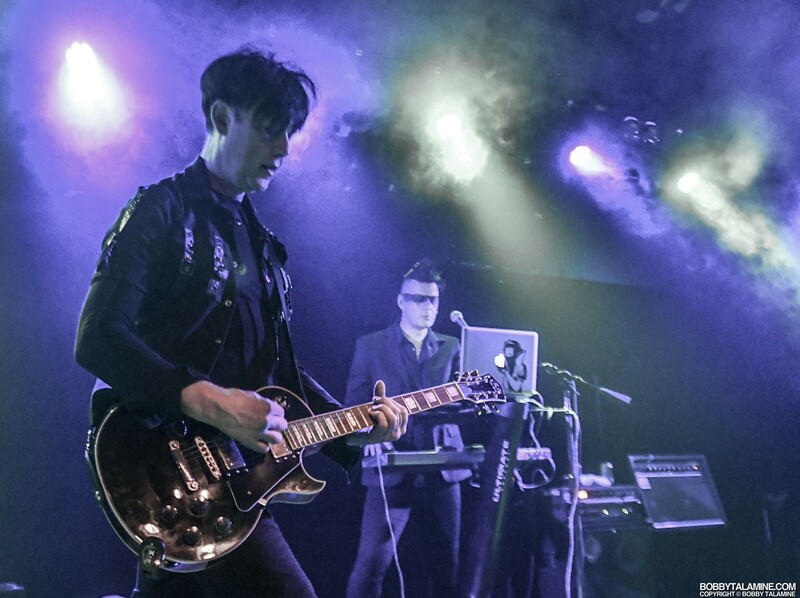 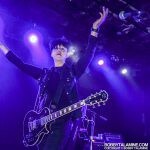 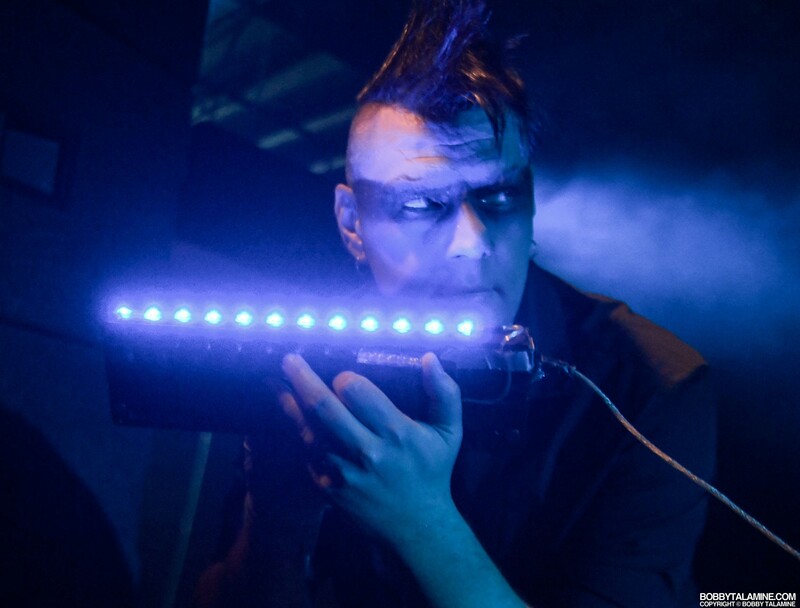 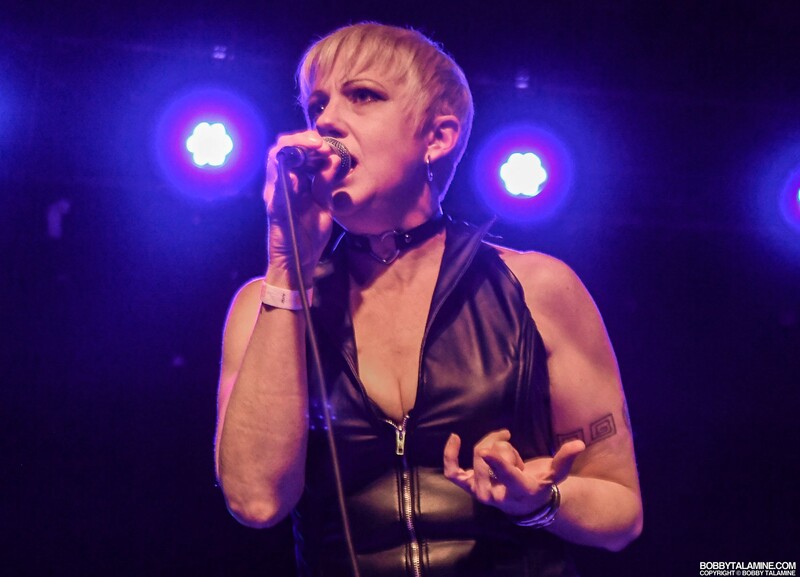 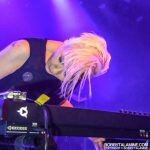 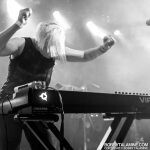 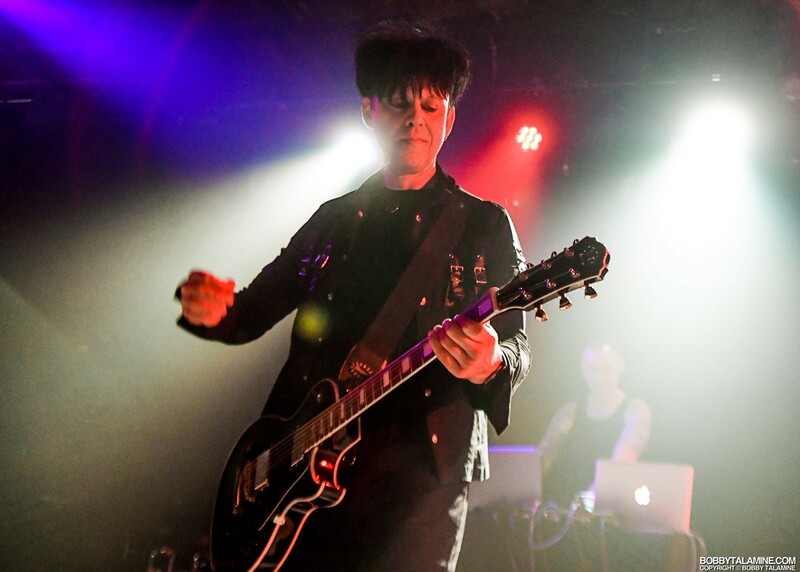 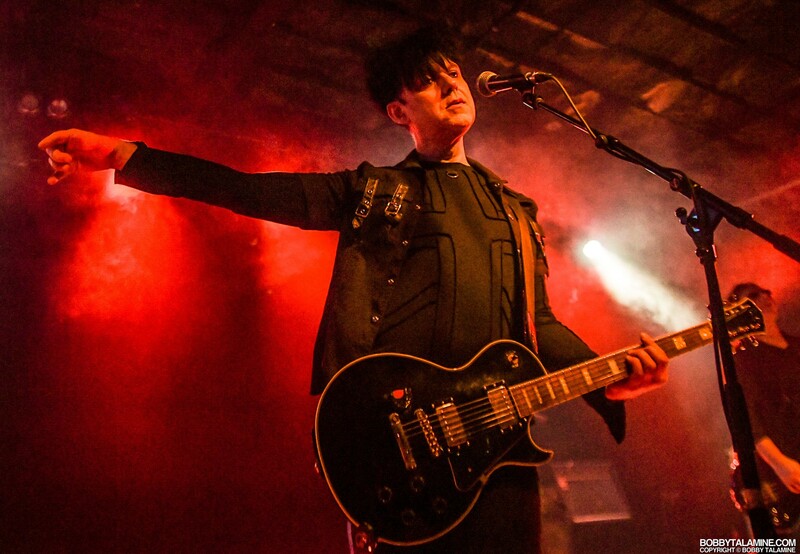 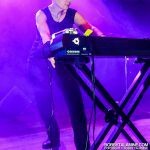 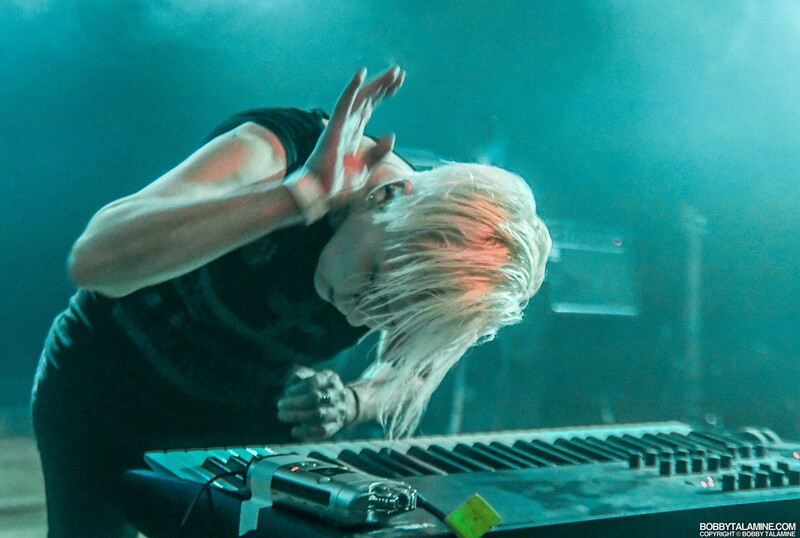 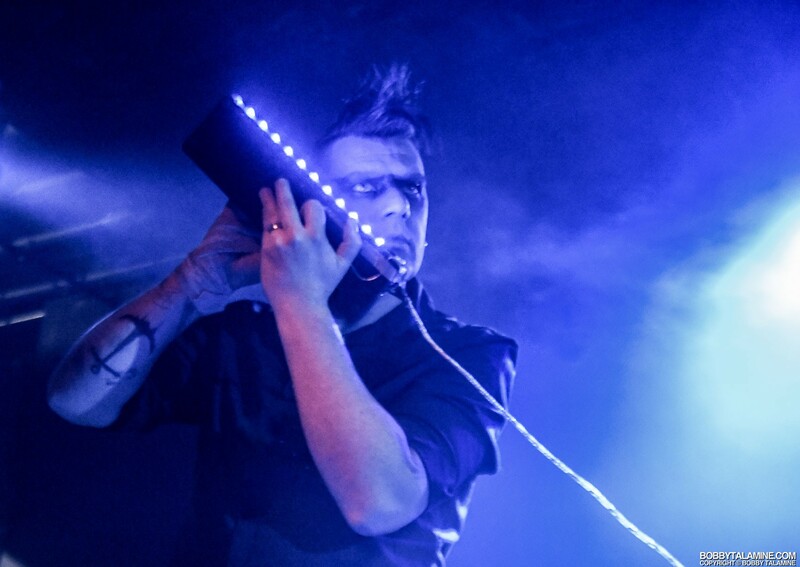 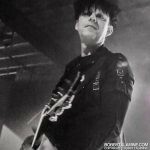 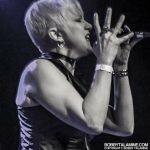 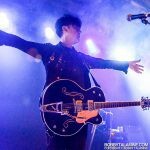 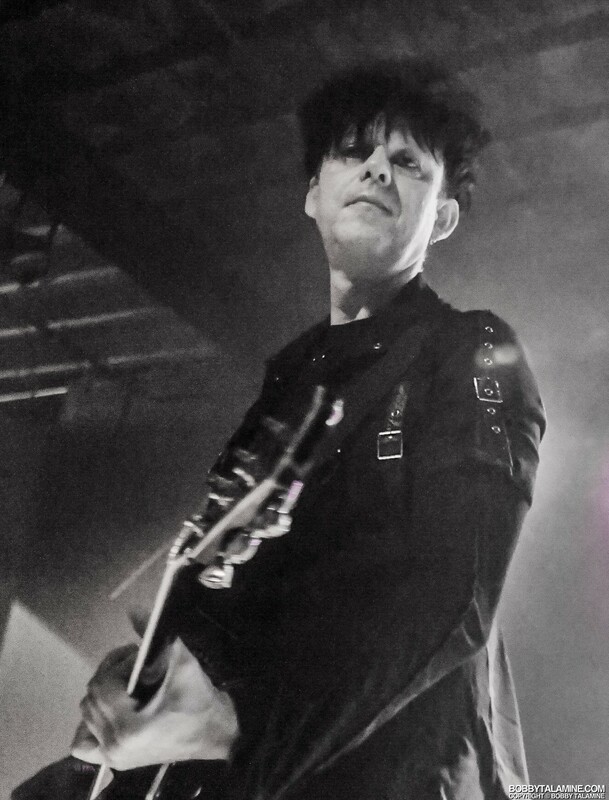 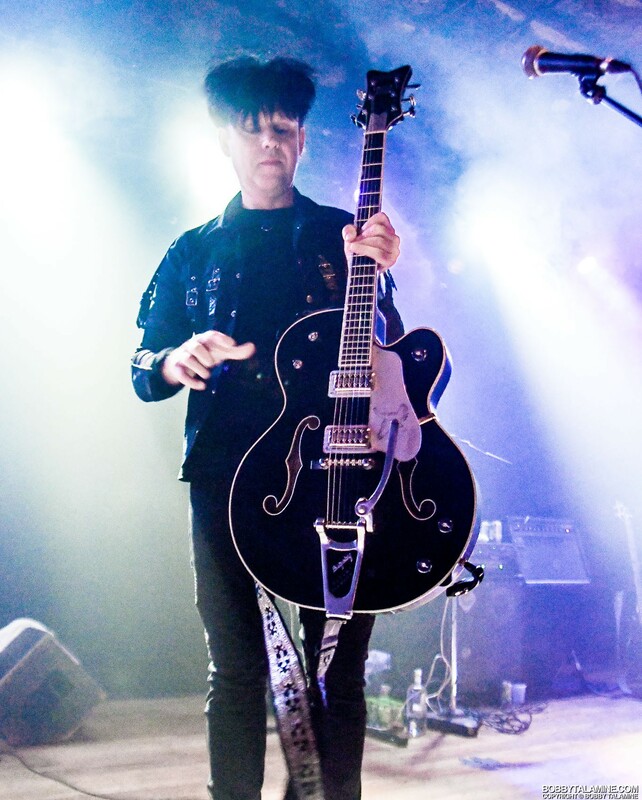 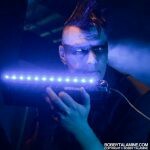 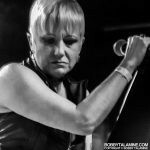 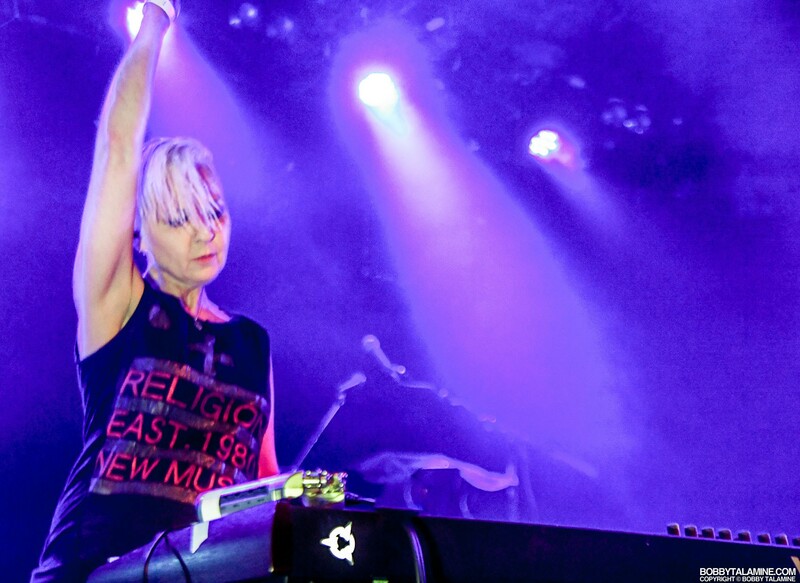 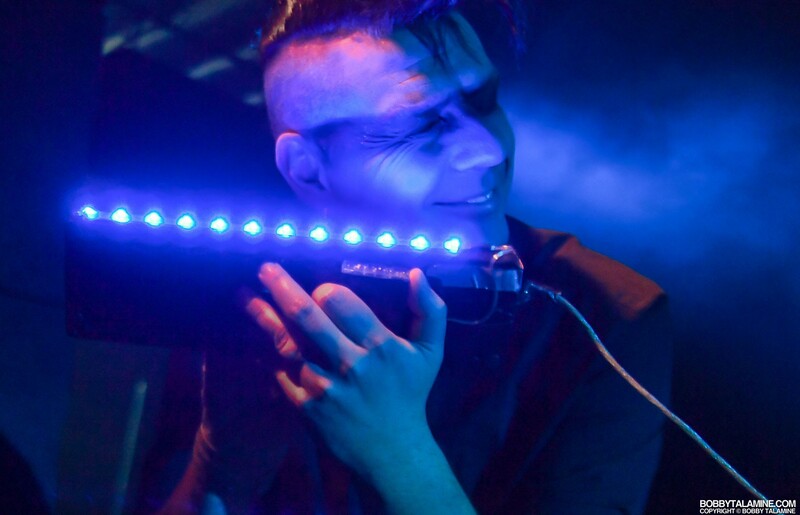 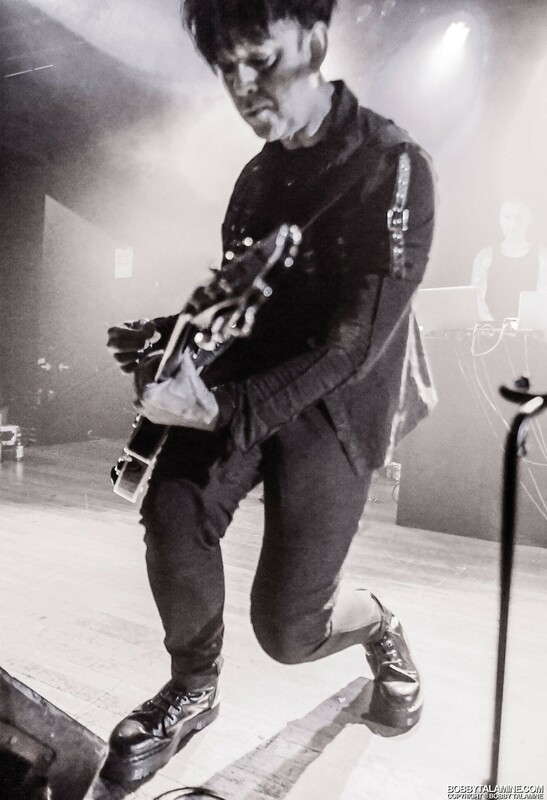 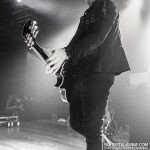 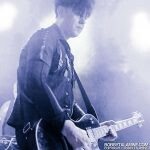 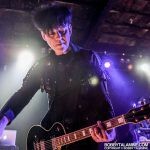 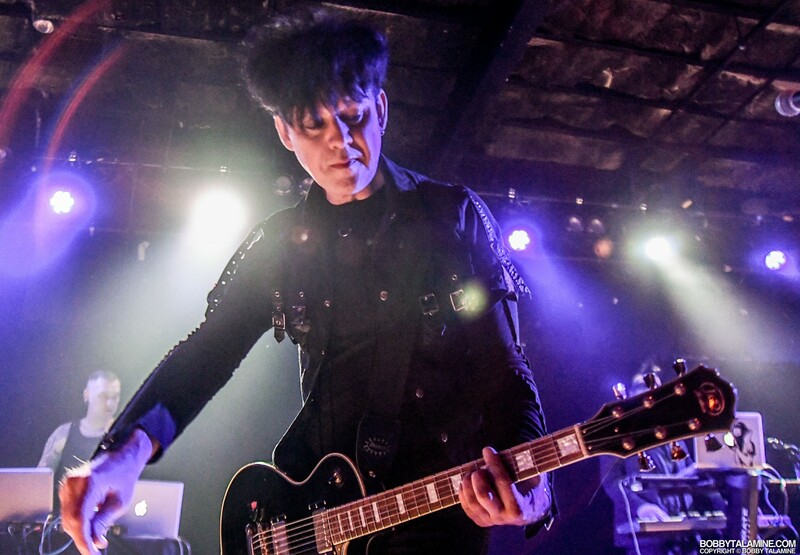 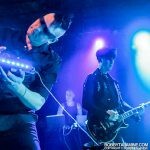 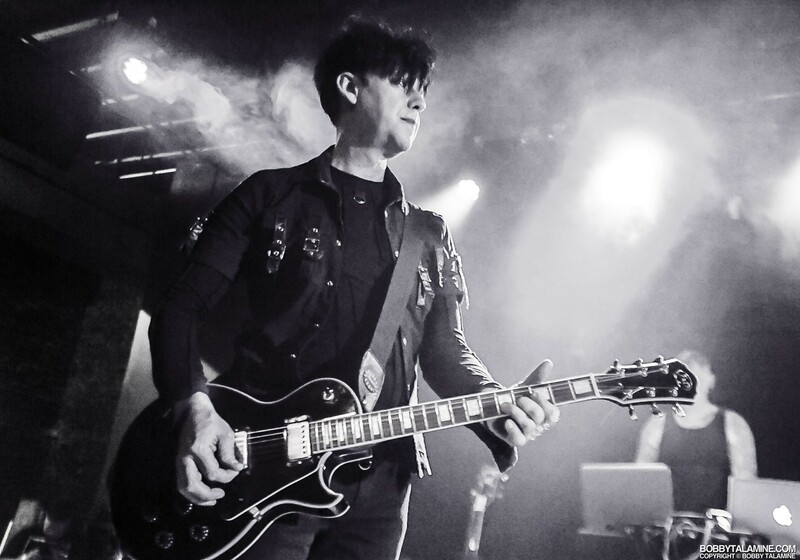 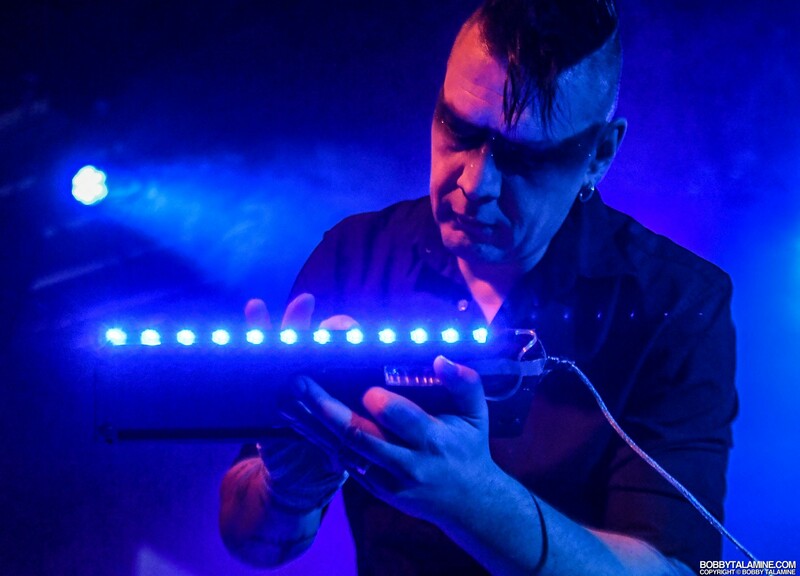 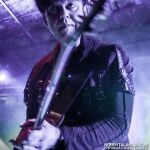 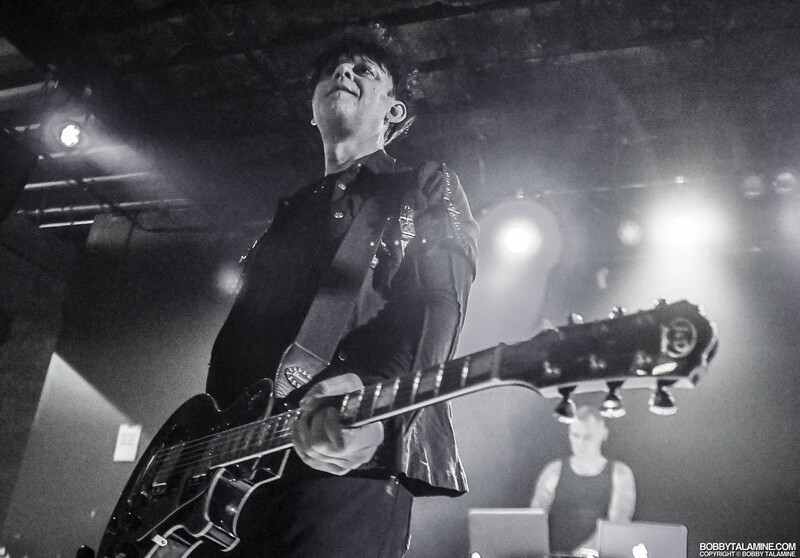 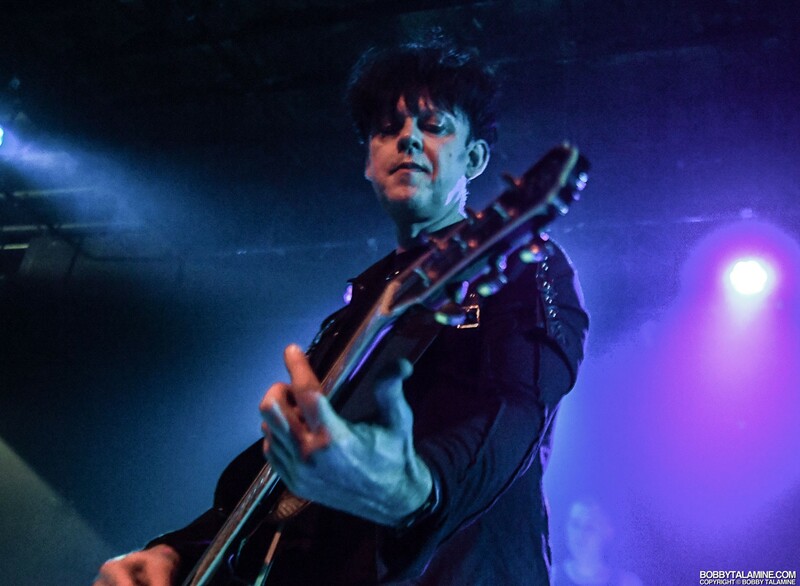 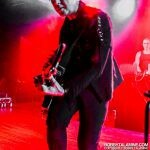 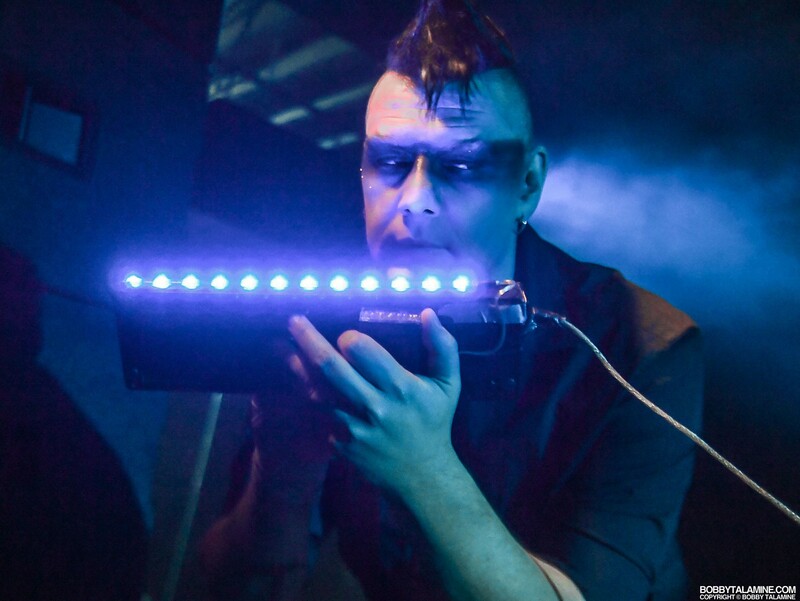 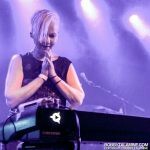 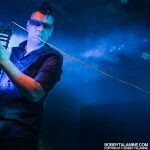 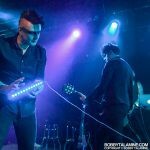 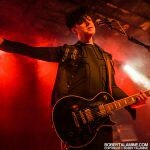 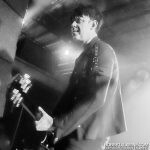 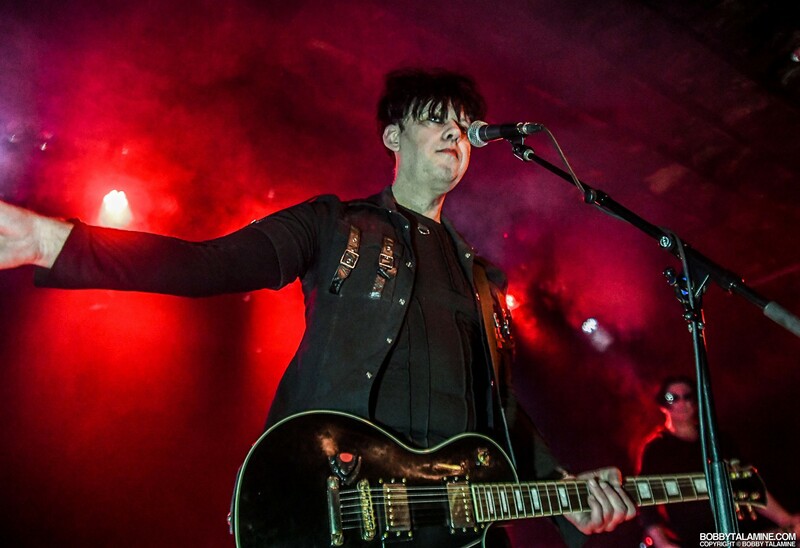 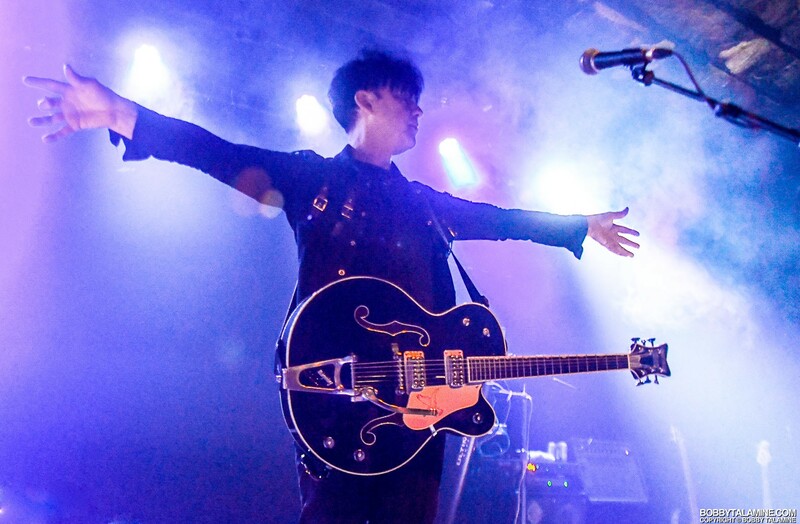 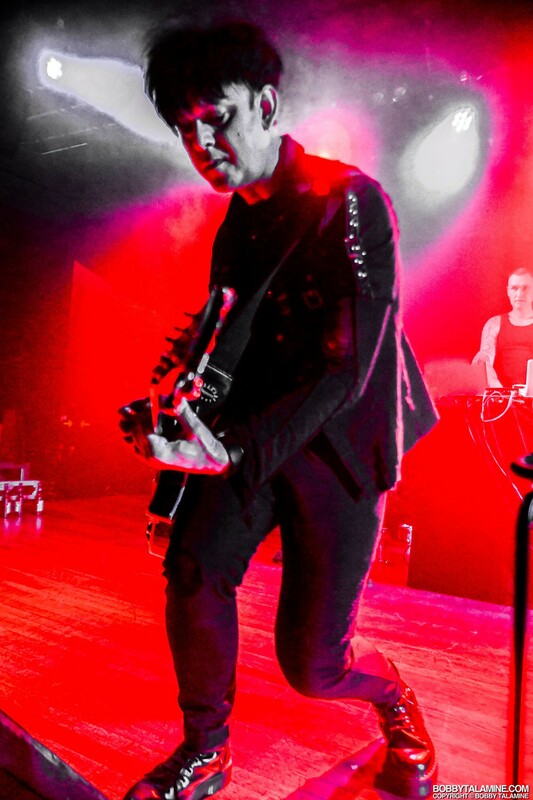 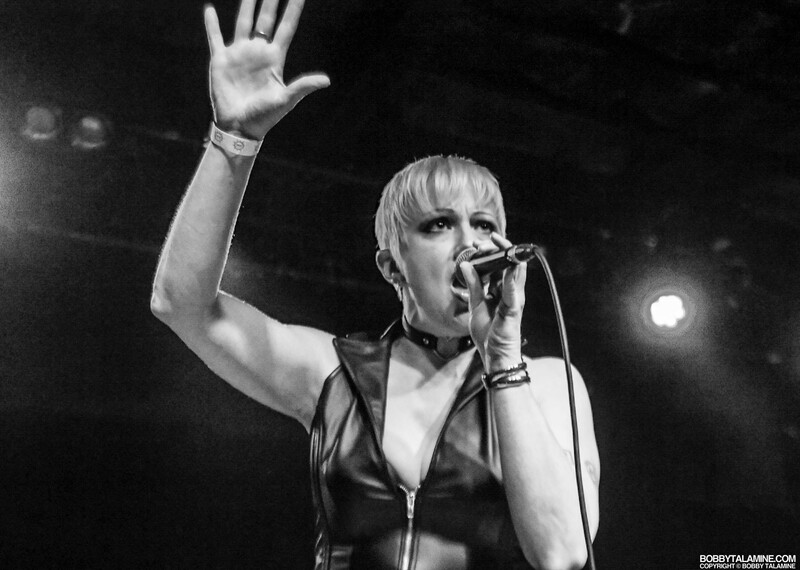 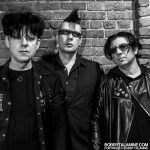 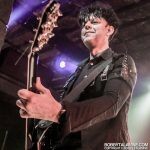 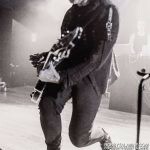 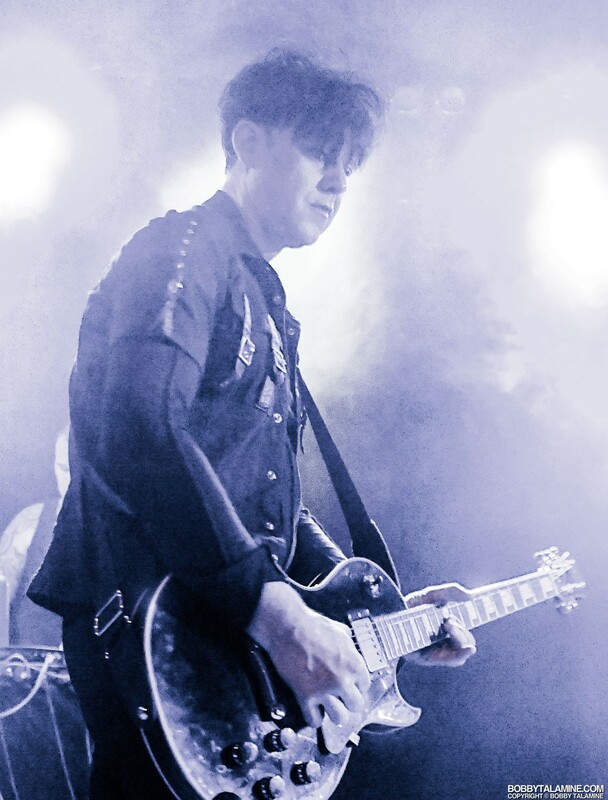 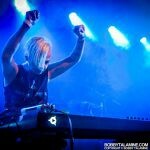 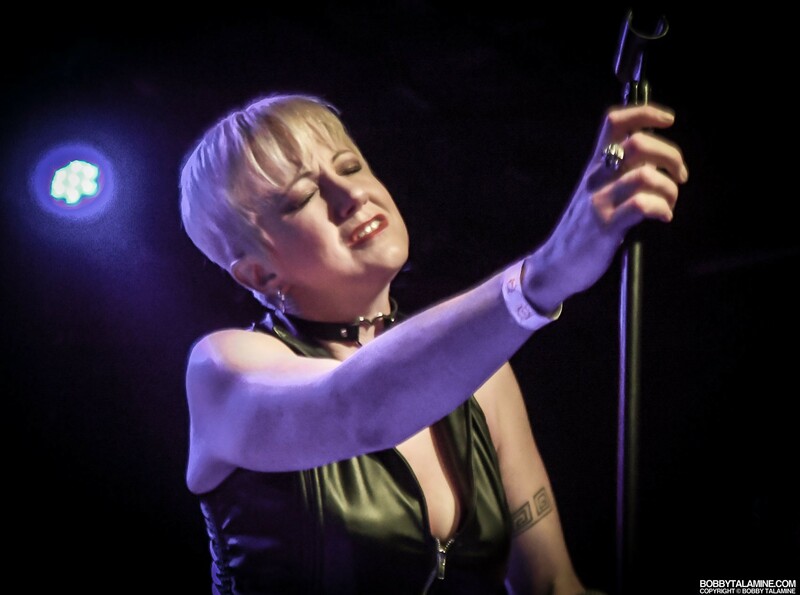 Although the band has continued to develop over the years- losing key members and gaining key members- in essence Clan of Xymox is all Ronny Moorings, who is the only founding member still in the group. 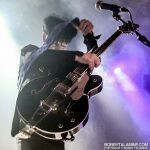 This is not a knock- he still retains the overall sound and moody melodies, making sure the band stays crisp and true to form- which is a good thing. 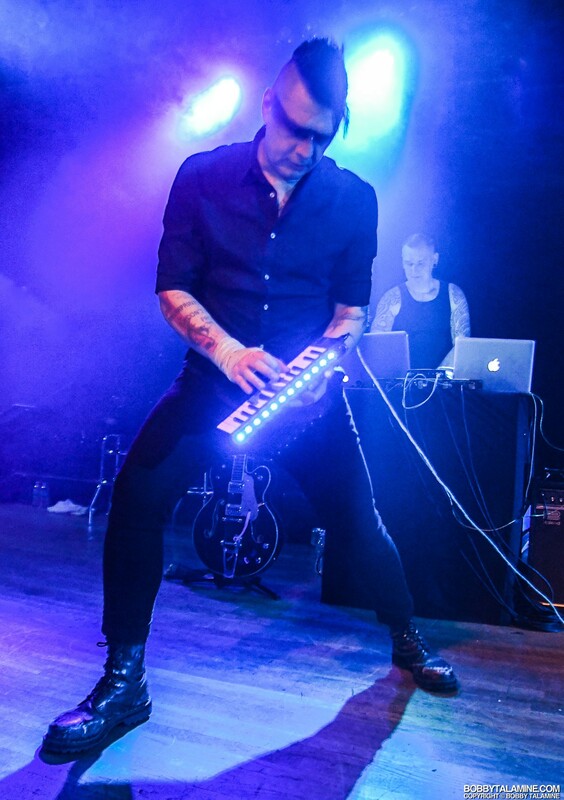 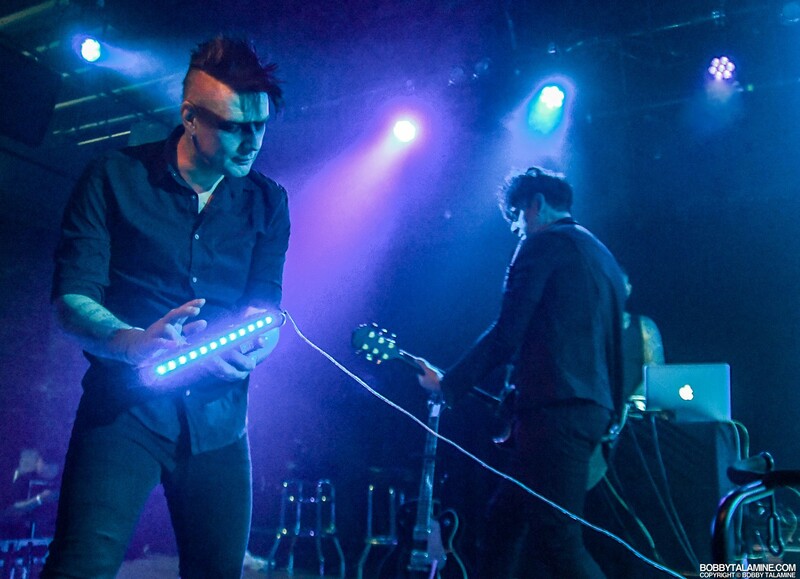 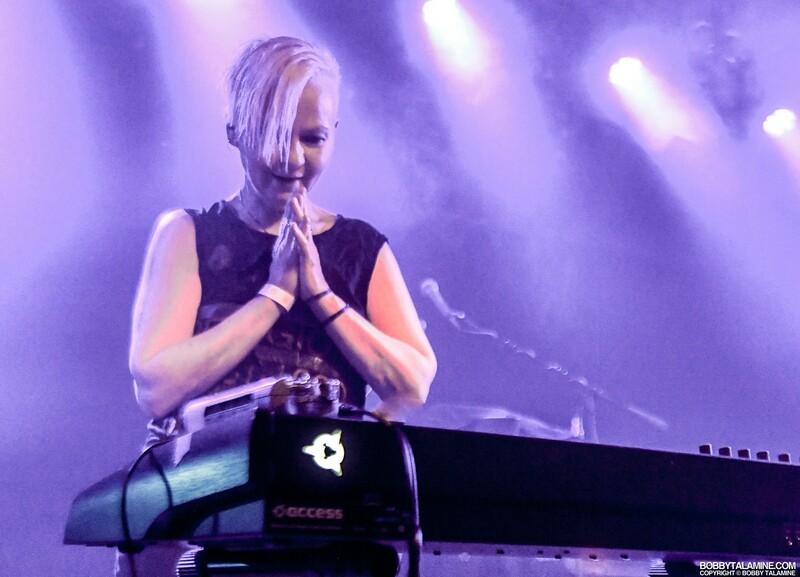 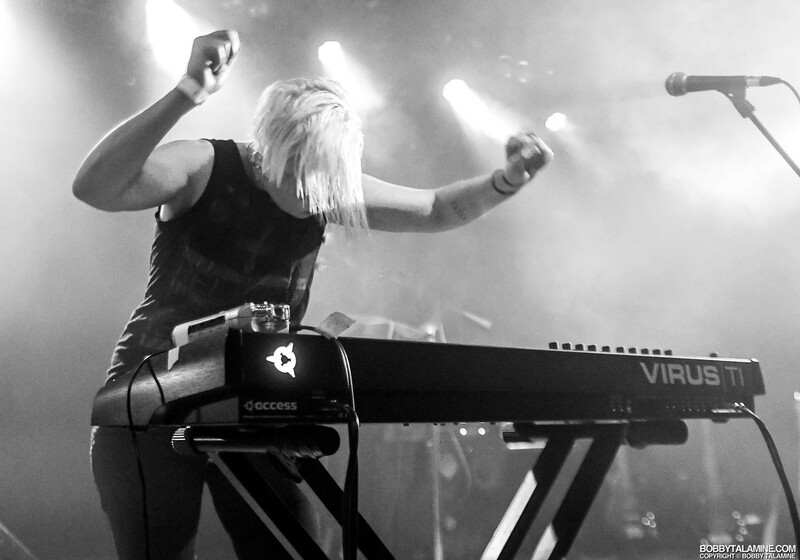 The current band members on this short North American Tour: Mario Usai and of course Sean Gobel, who has a cool portable electronic keyboard- kind of like a Melodica, which also lights up with blue LED’s, and with Sean’s Black Eye warpaint as a show of defiance and menace- makes for great photography midway through the show. 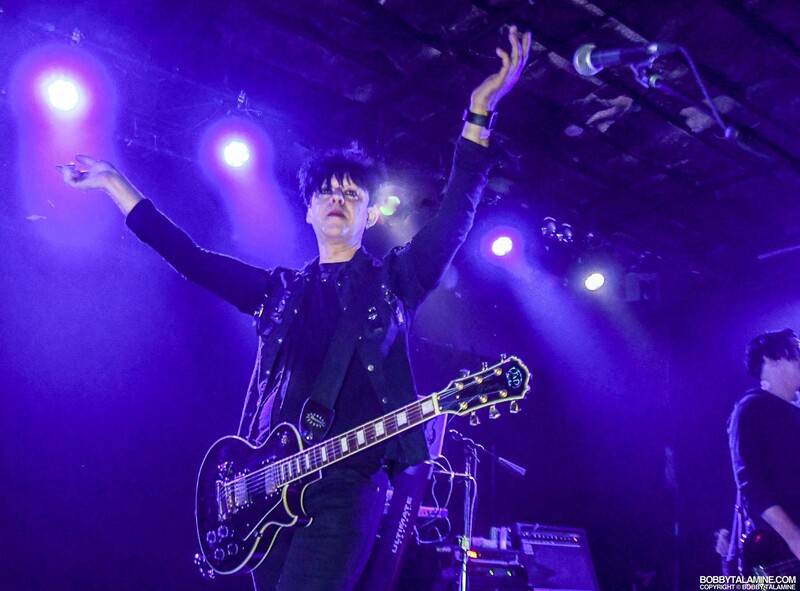 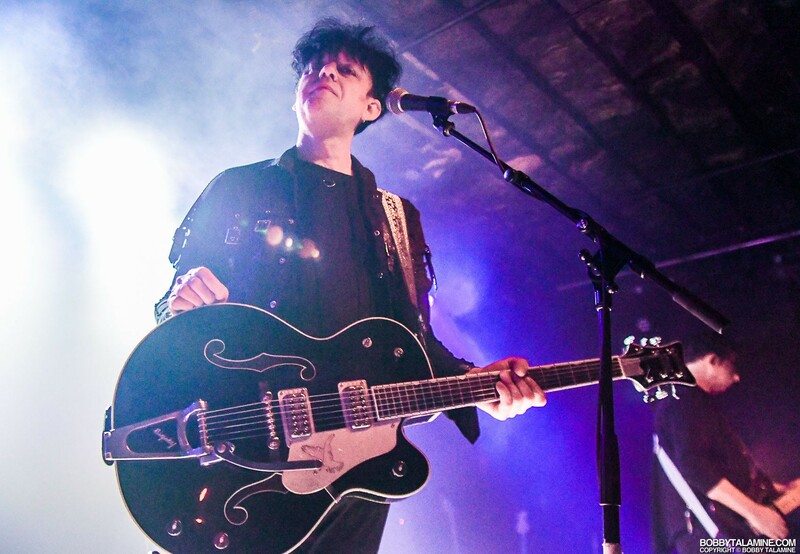 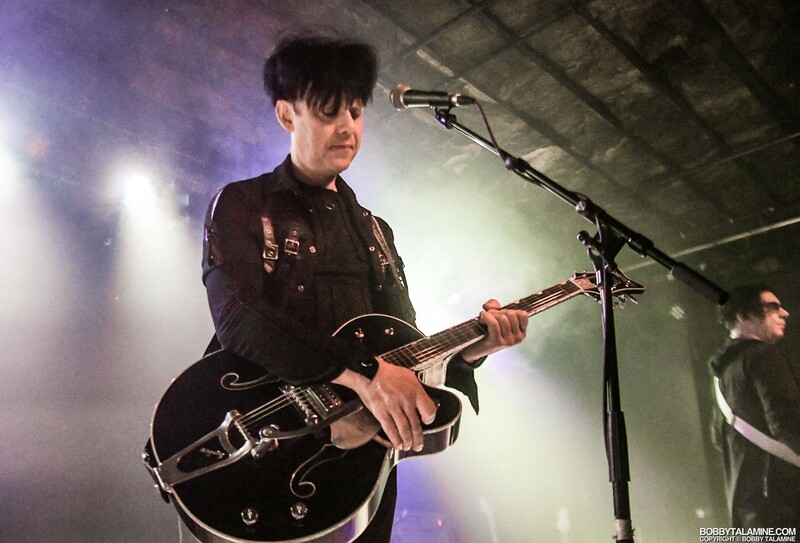 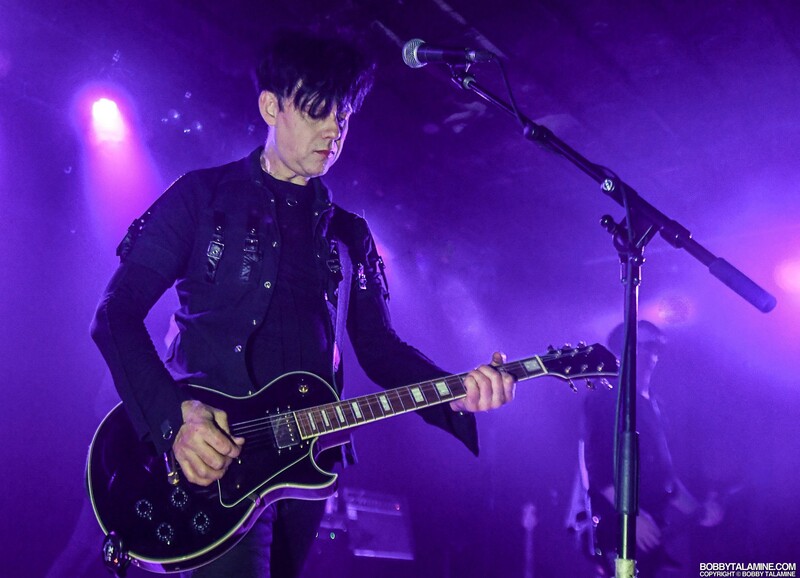 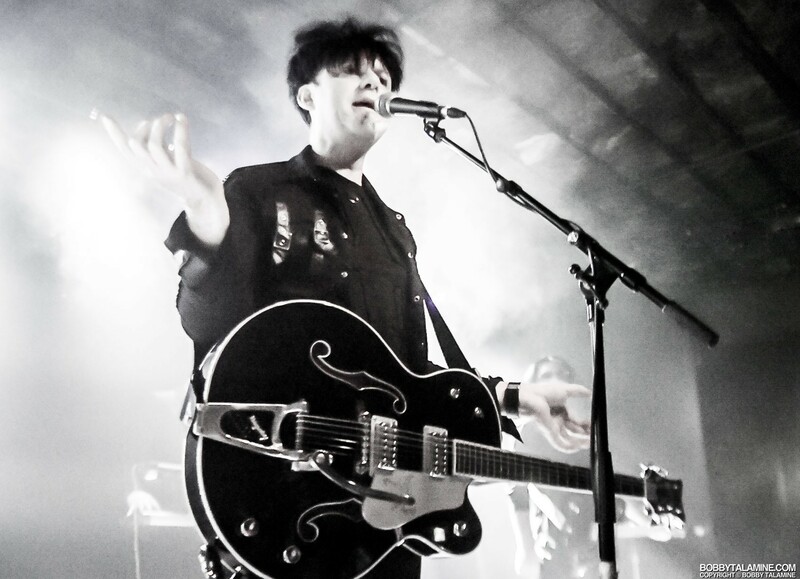 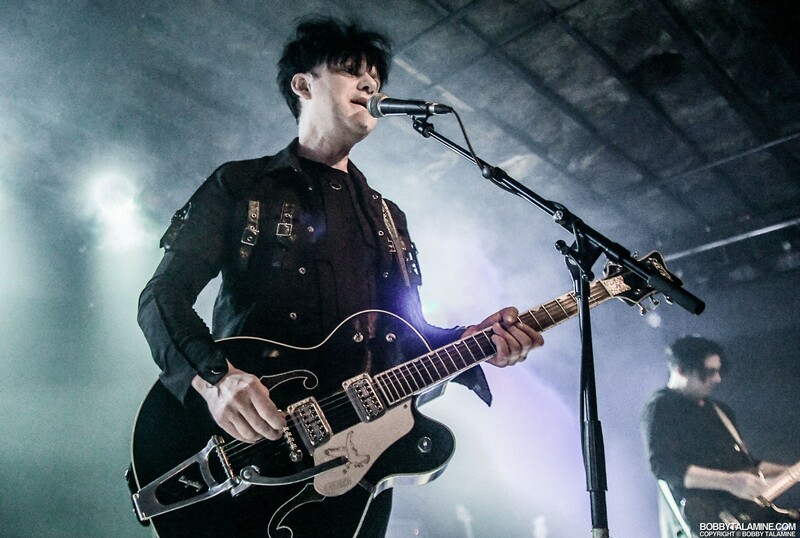 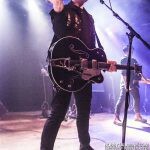 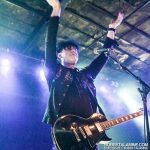 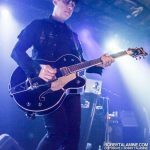 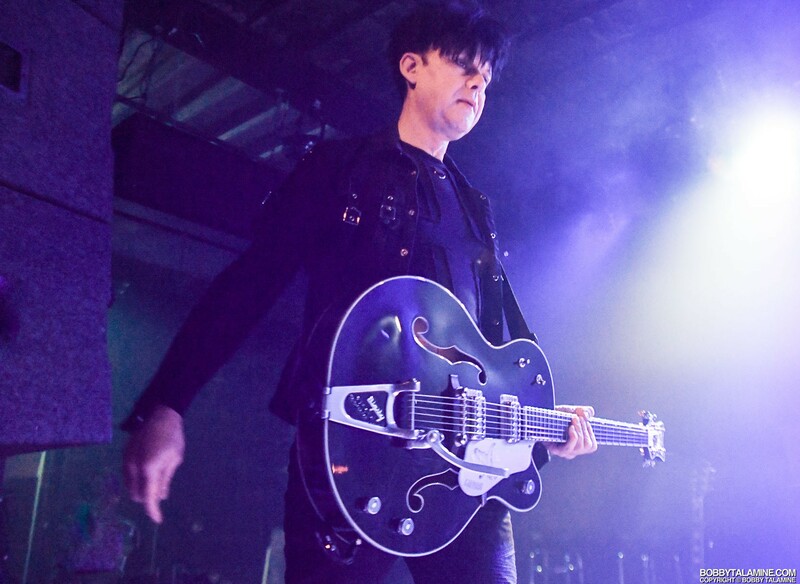 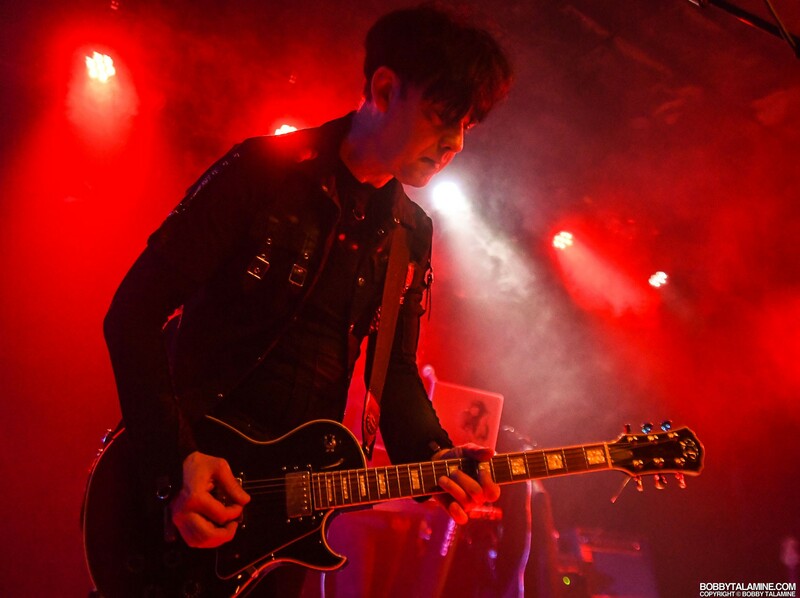 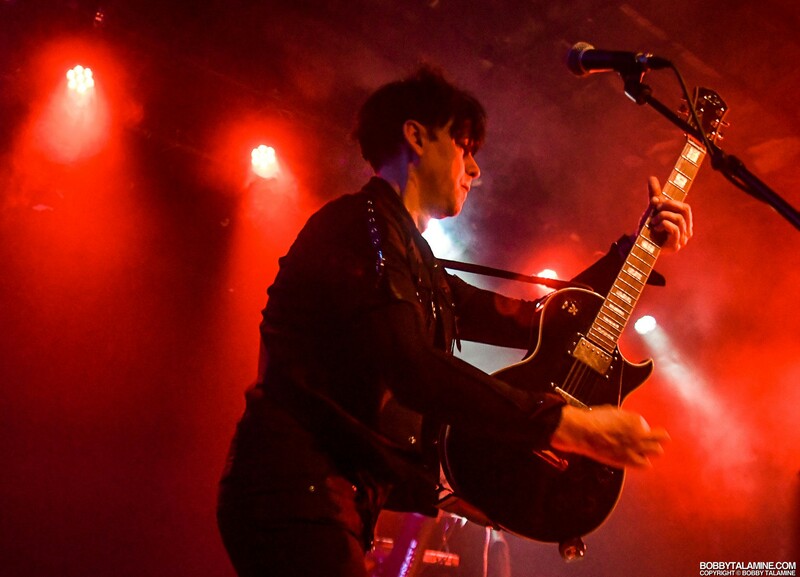 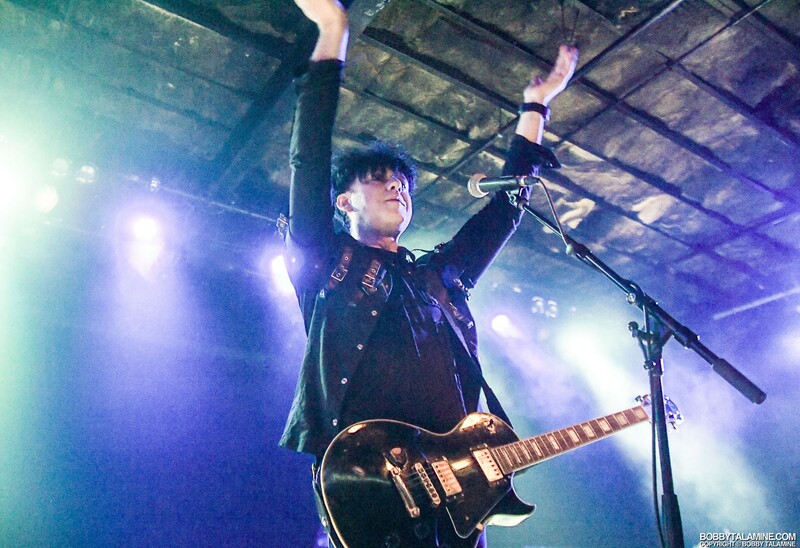 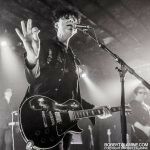 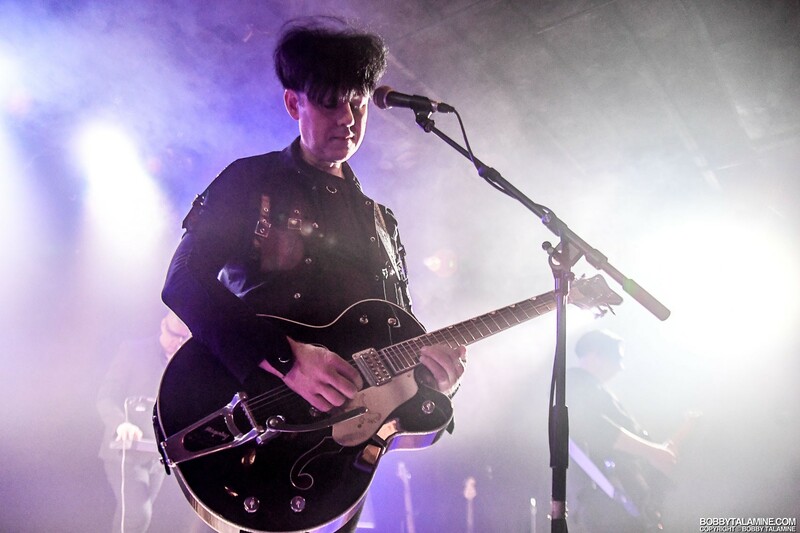 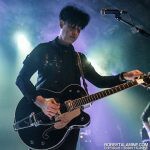 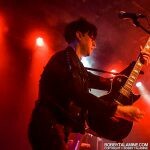 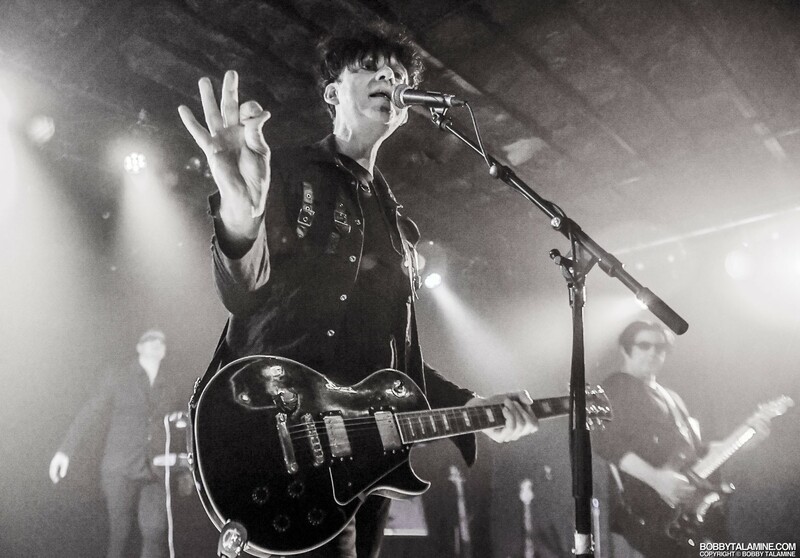 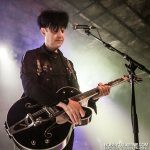 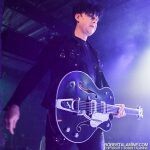 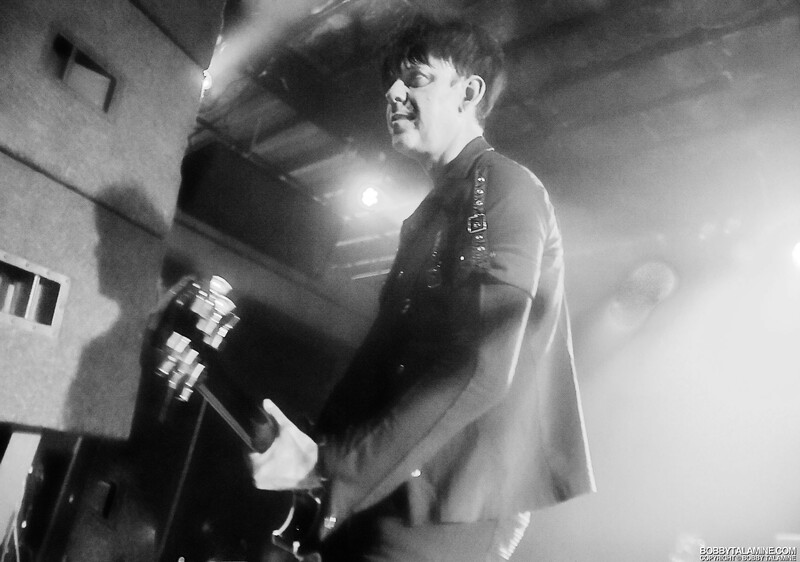 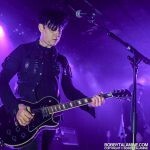 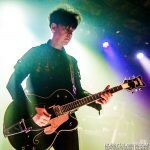 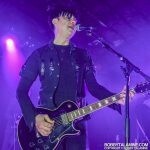 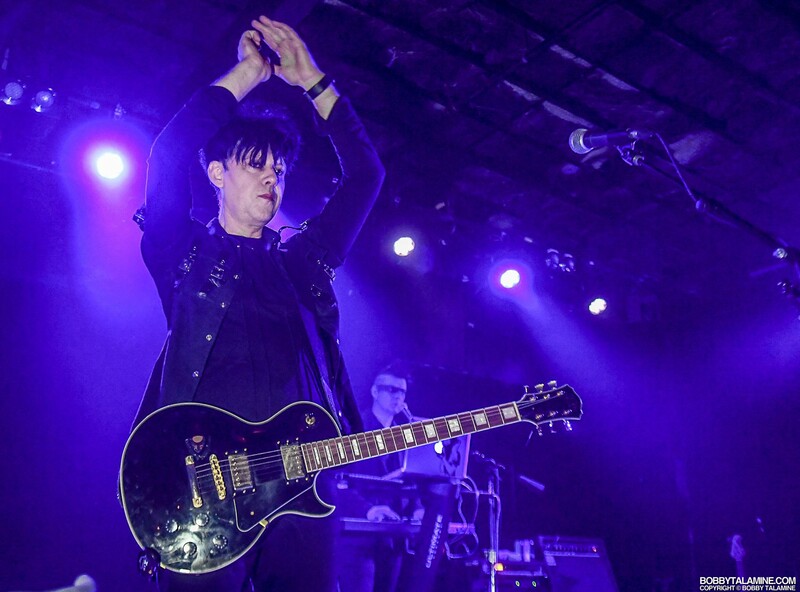 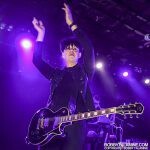 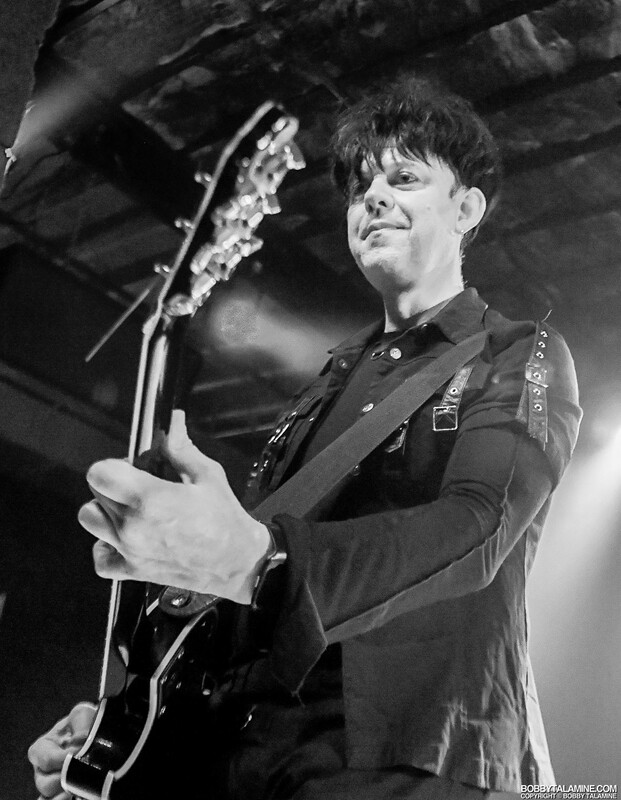 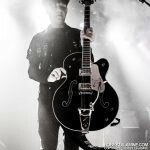 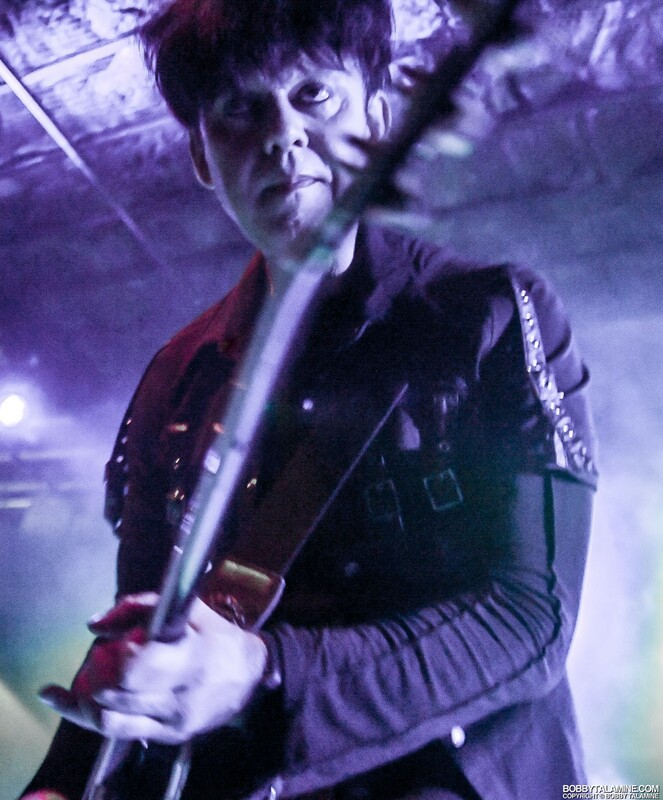 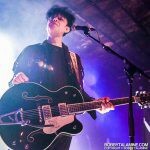 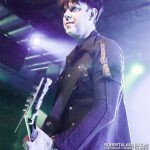 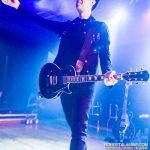 Have to say Ronny Moorings and Clan of Xymox haven’t skipped a beat, even for a cozy venue such as Bottom Lounge in Chicago. 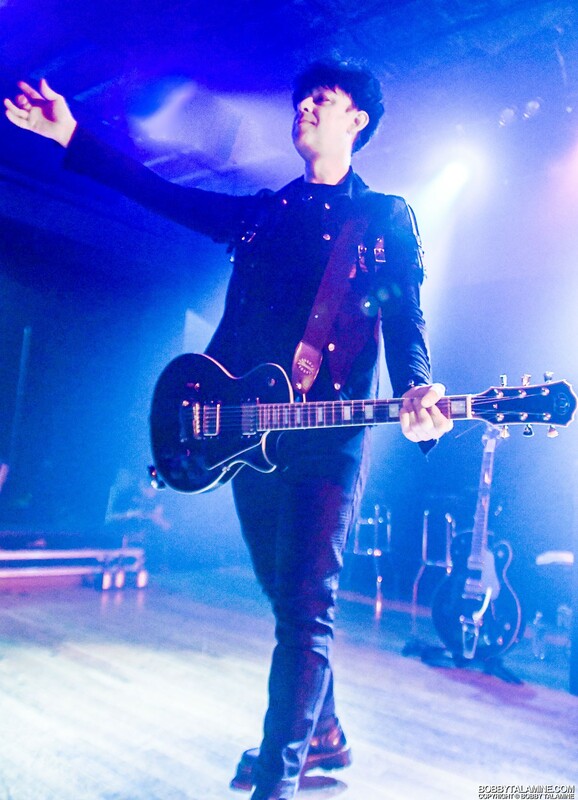 The show was splendid on many levels. 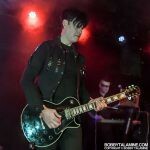 A pleasure to meet the men in Xymox, and allowing me the time to take some decent pose shots before they went on stage. 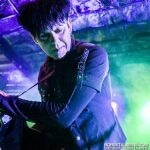 Openers Decoded Feedback and Autumn U.S. also had terrific sets, albeit a last minute change with Yone Defcode of Decoded Feedback having to go solo because of a sick co founding band member laid up with the flu. 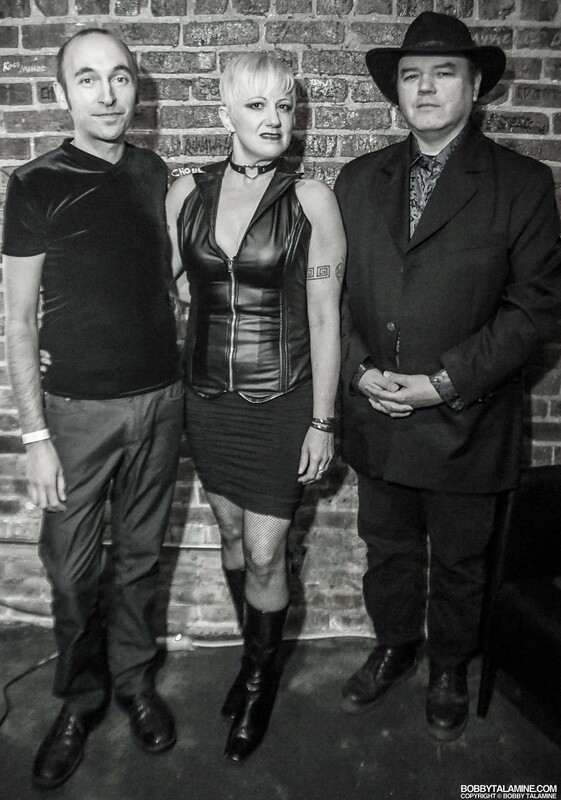 Julie Plante, Jeff Leyda and Neil McKay of Autumn U.S. have a unique presence and sound that is quite lovely to listen and watch live..Uniquely lush guitar tones courtesy of Neil McKay, very passionate singing from Julie Plante, melodic dark undertones from the bass of Jeff Leyda. 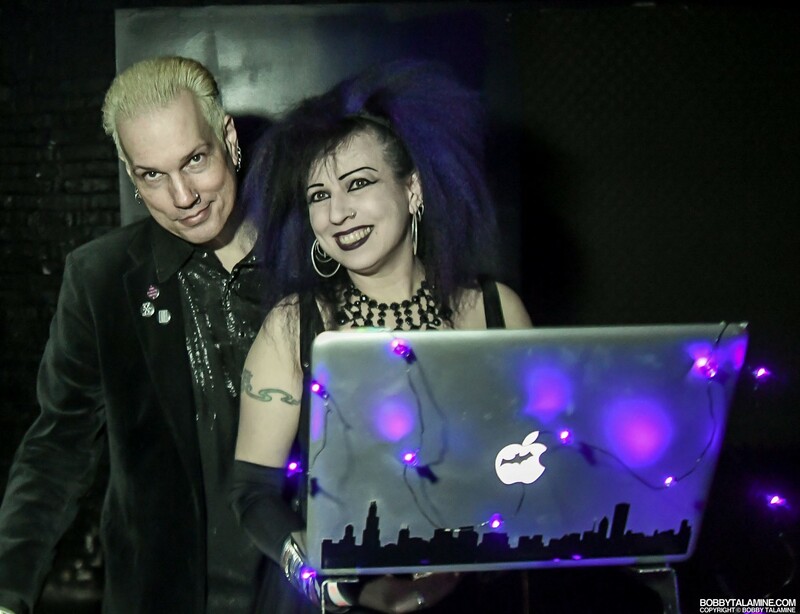 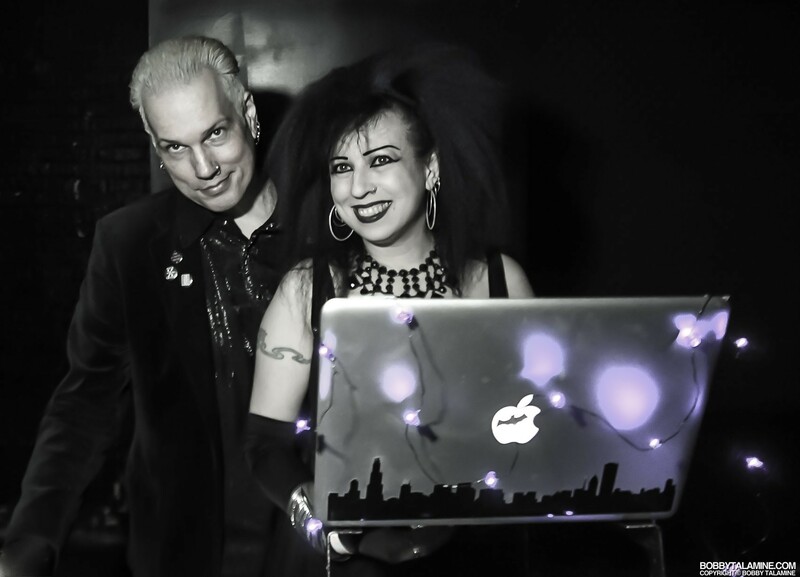 The terrific DJ’s emceeing and providing above and beyond music in between sets and when the doors opened to the venue: That would be none other that William Faith and Scary Lady Sarah- otherwise known as The Pirate Twins. 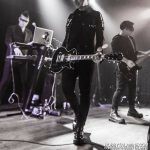 All n’ all- a wonderful and dark and mysterious and otherworldly evening from beginning to end.